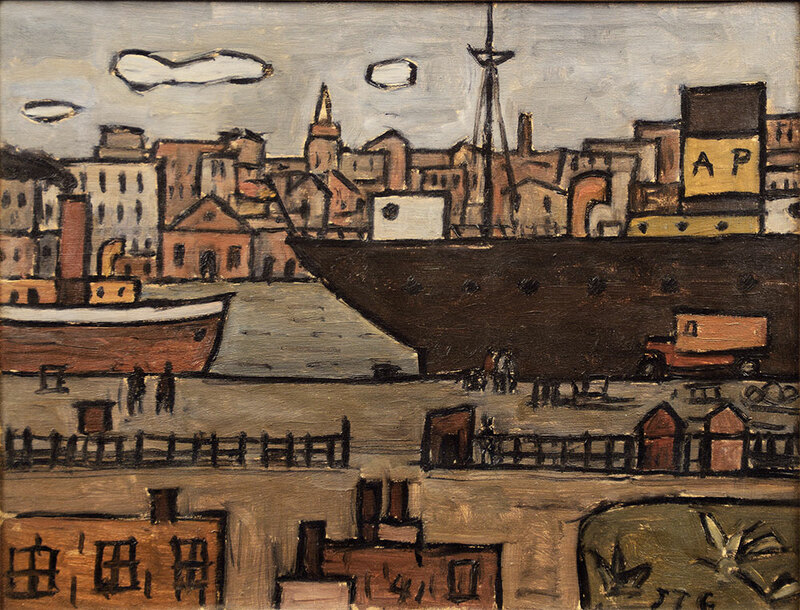 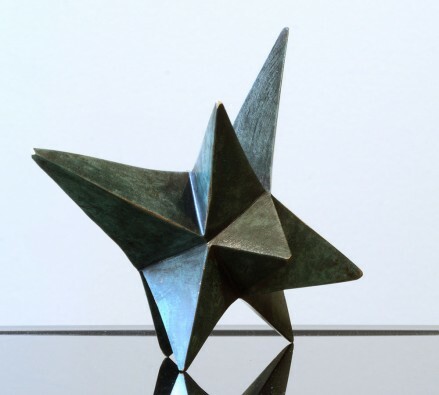 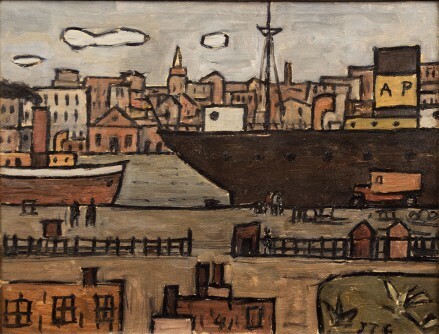 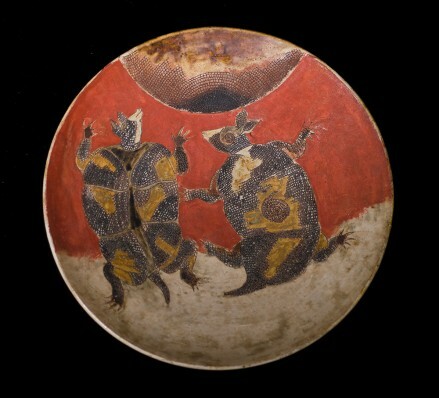 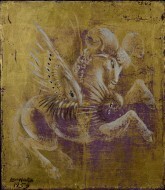 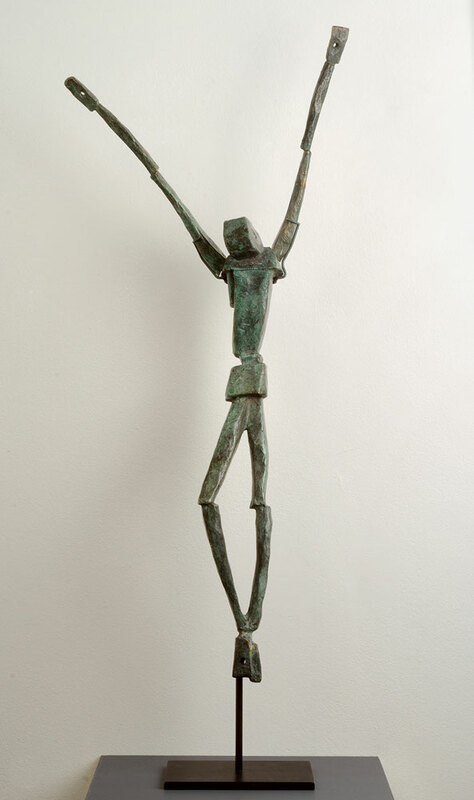 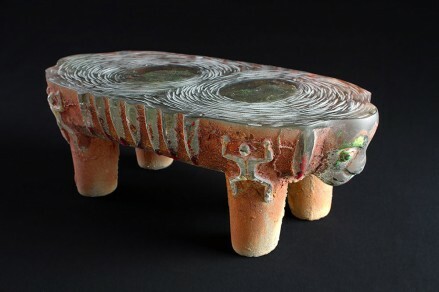 Visit the Gallery to see recent acquisitions and selected inventory. 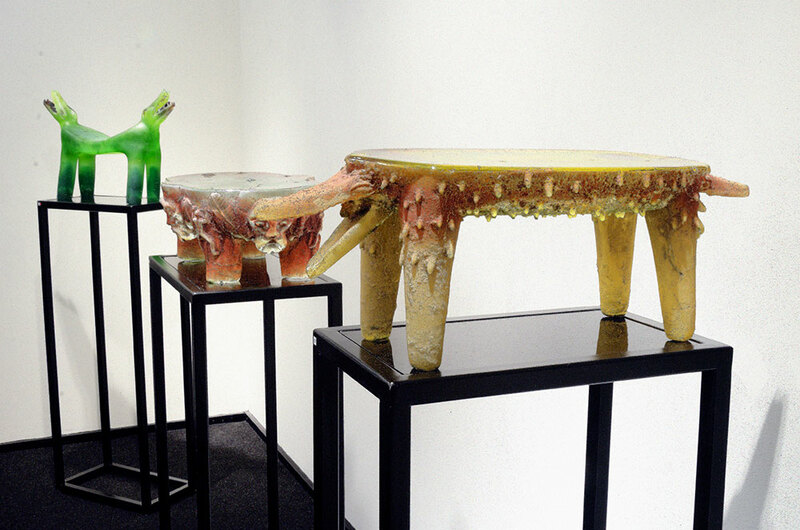 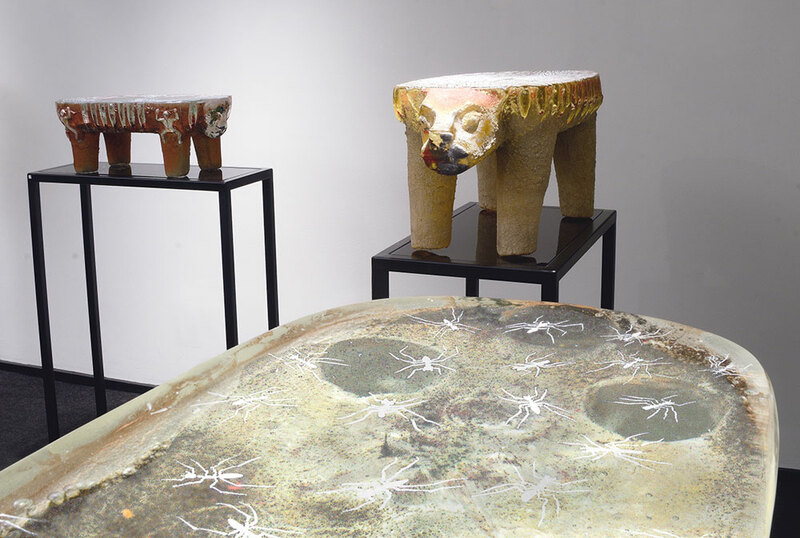 The installation coincides with Latin American Art Week in New York and will continue through June 2014. 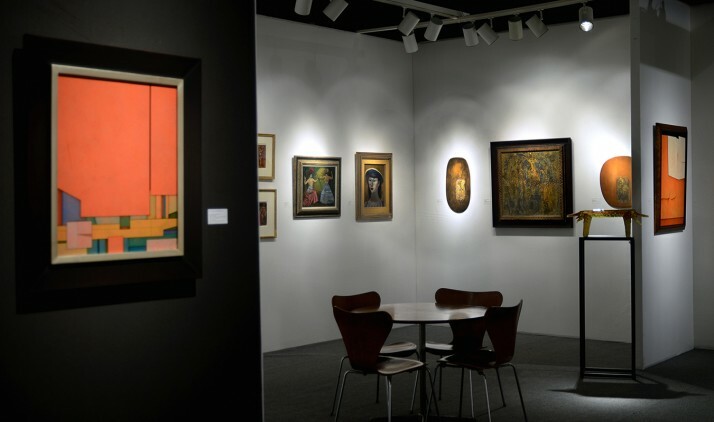 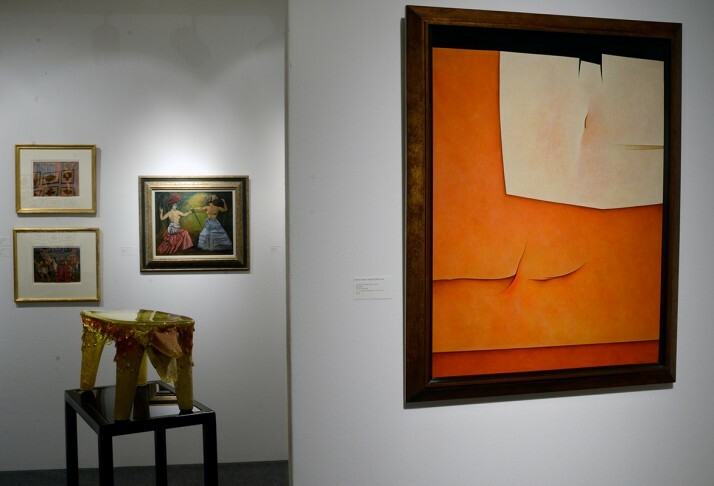 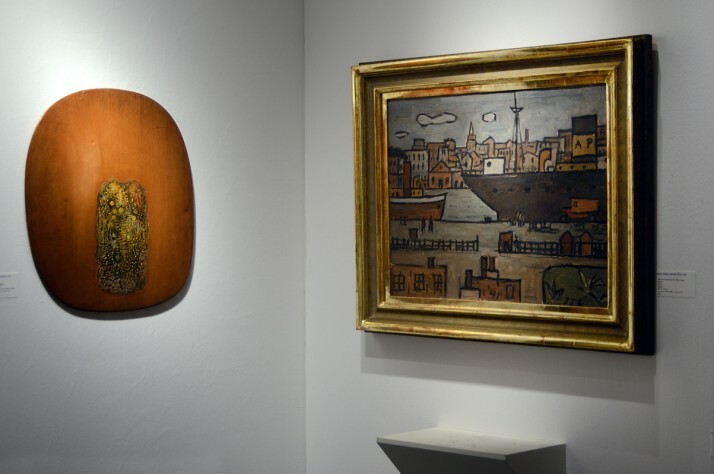 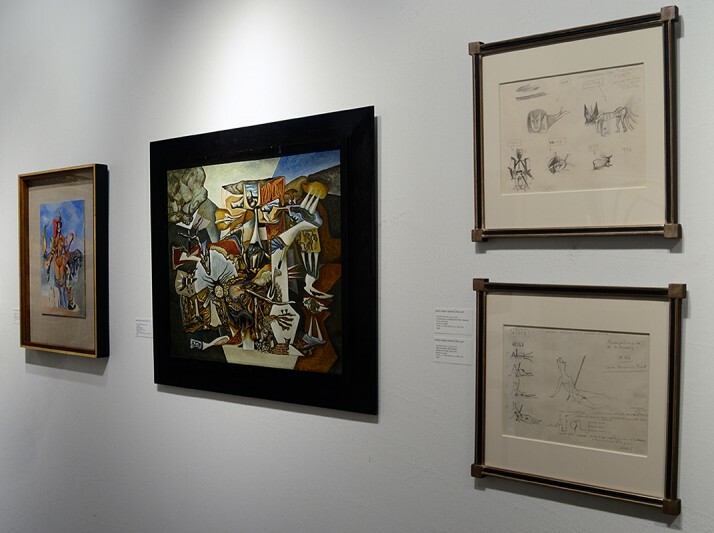 Highlights include a striking 1955 painting by Matta that once belonged to Andy Warhol, a large 1986 painting by Guillermo Kuitca, and a 1930 Diego Rivera portrait of a little girl that was included in his first one man show at the Museum of Modern Art in New York in 1931. 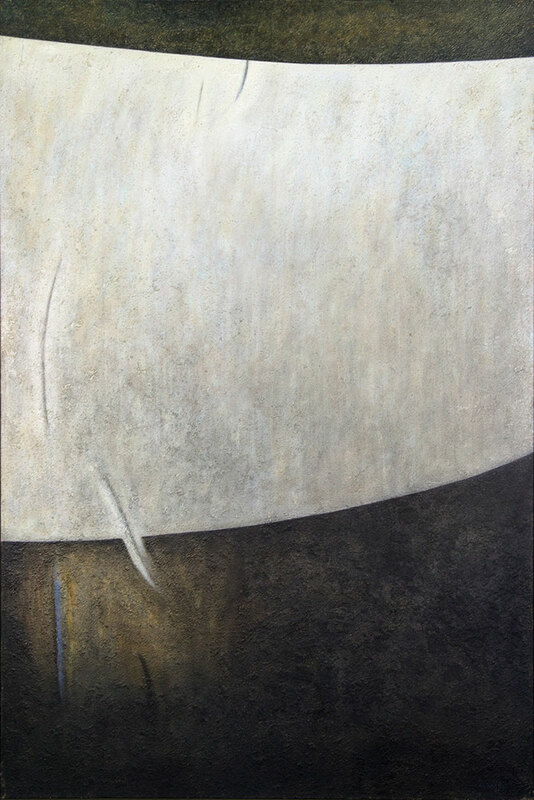 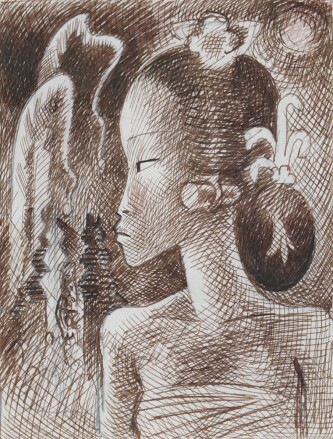 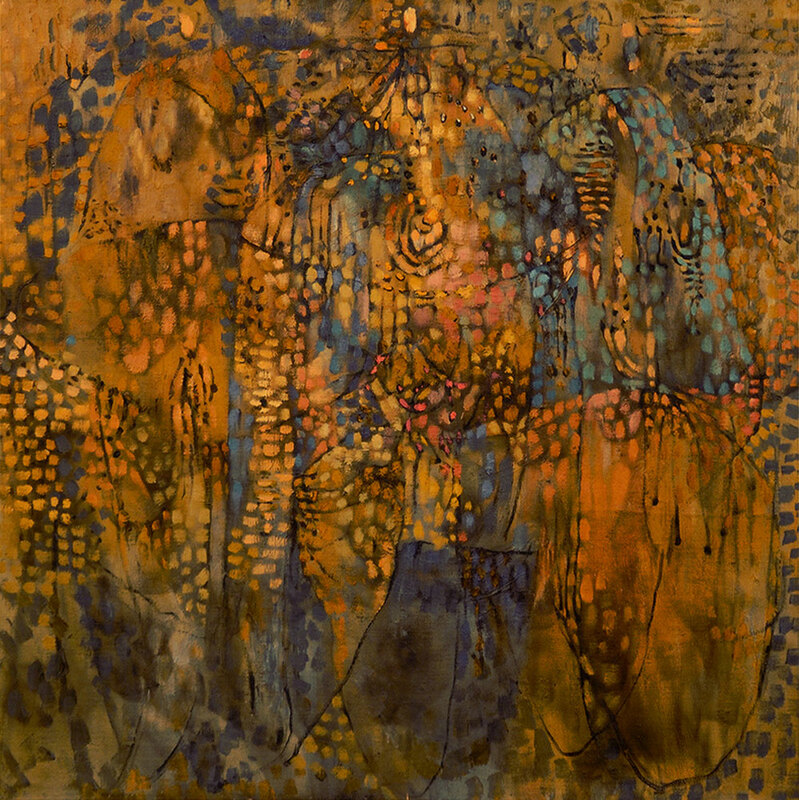 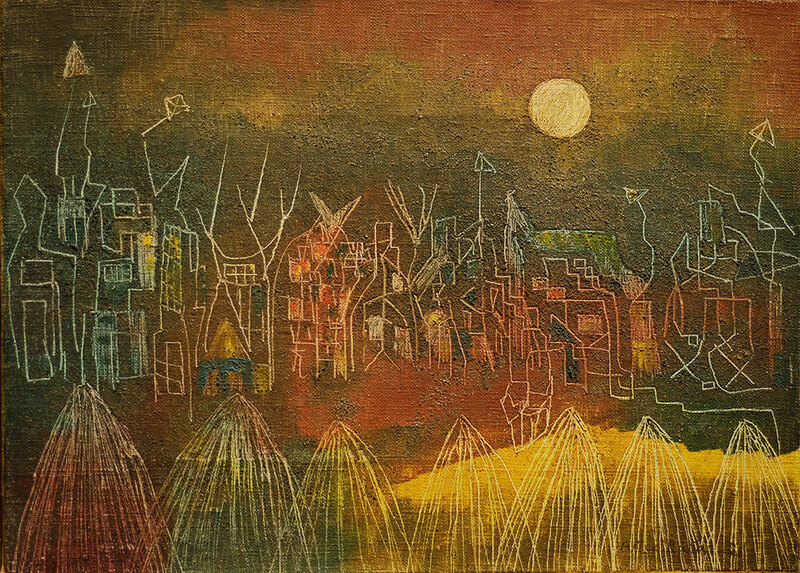 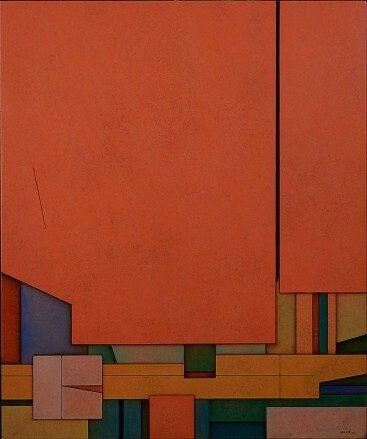 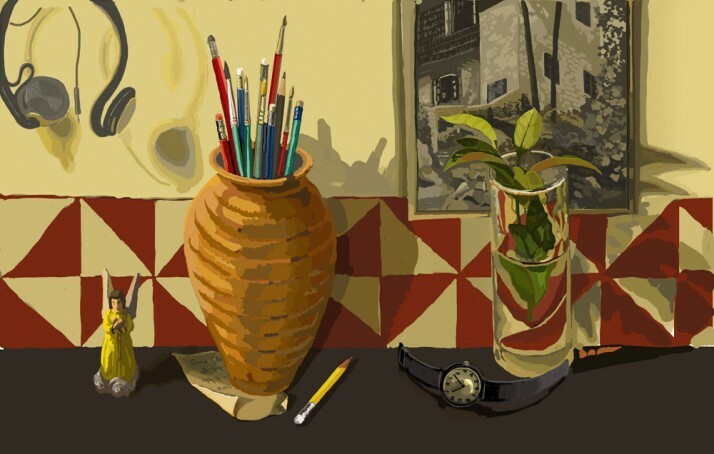 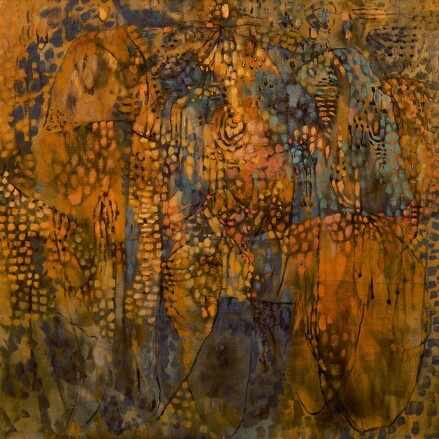 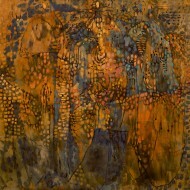 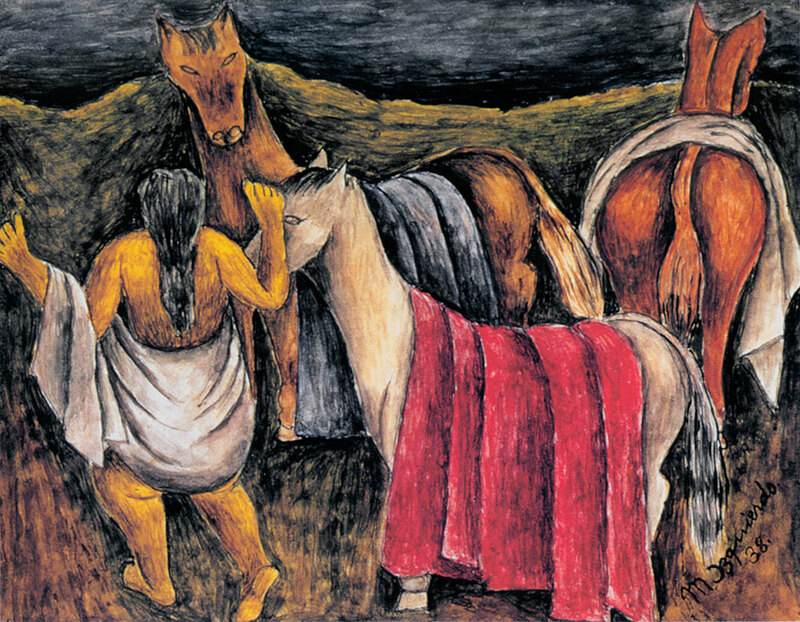 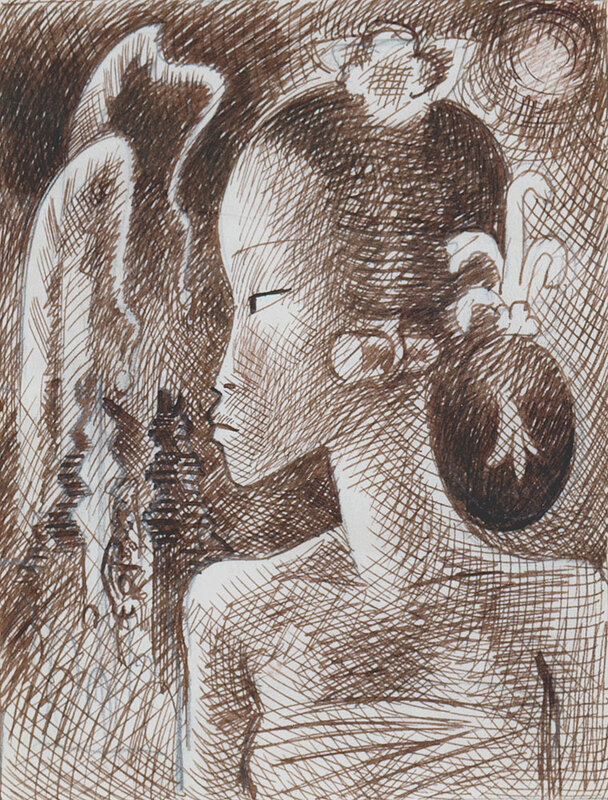 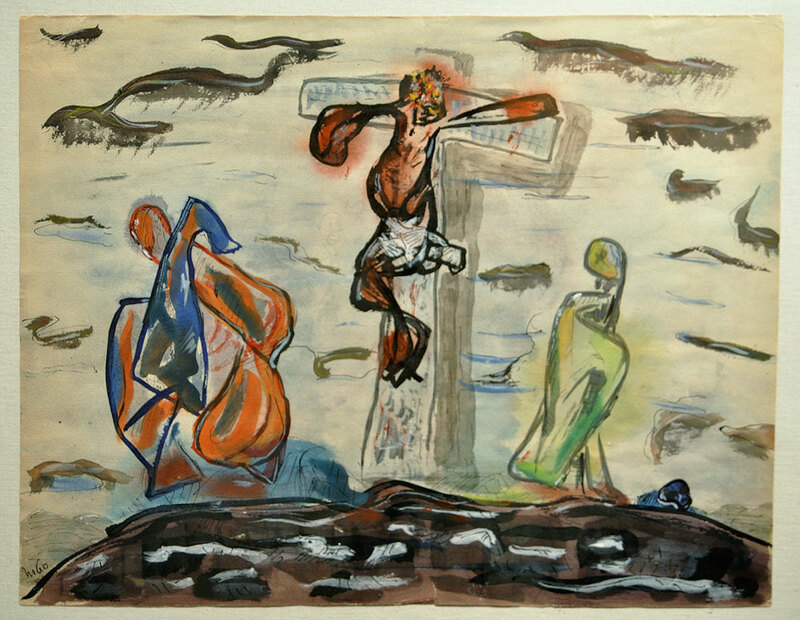 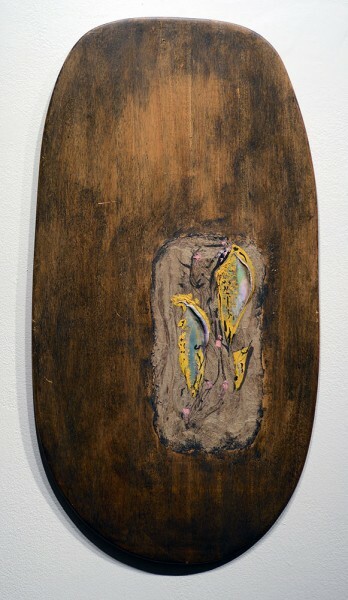 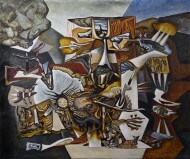 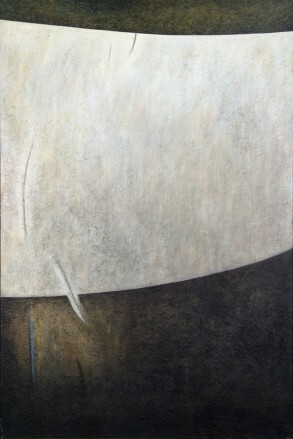 Kuitca’s paintings from the 1980s were often inspired by his interest in plays, films, literature, and popular music. 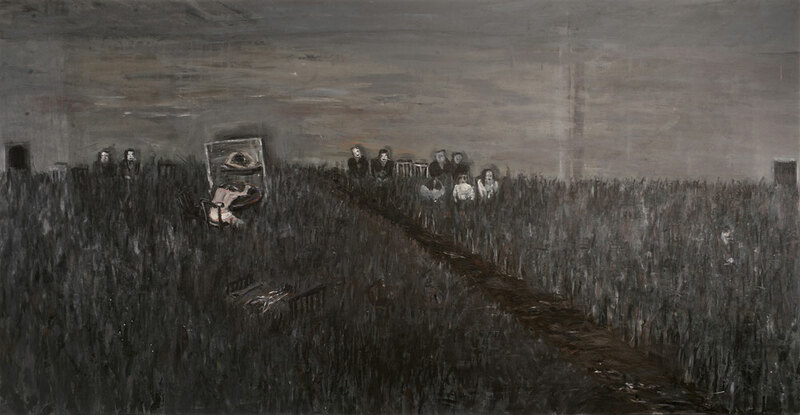 In this painting Kuitca may have found his subject in the 1983 film “The Big Chill,” a movie about a group of friends who reunite in South Carolina for the funeral of a friend who committed suicide. Here the artist gathers figures in an expansive field for the burial of a loved one, while it seems that the suicide victim himself is depicted face down at a table. 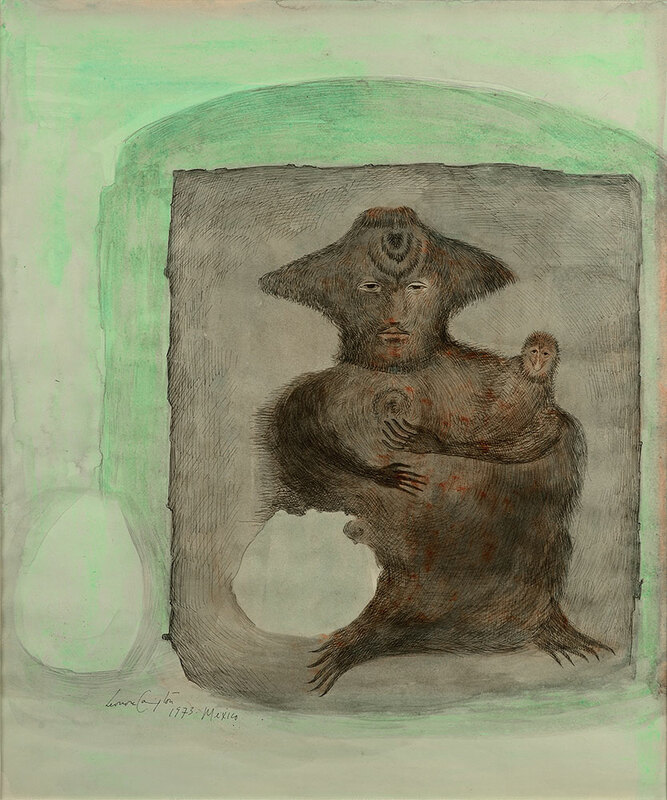 Works from this period are reminiscent of stage sets viewed from a distance, with tiny figures acting out mysterious and disturbing dramas. 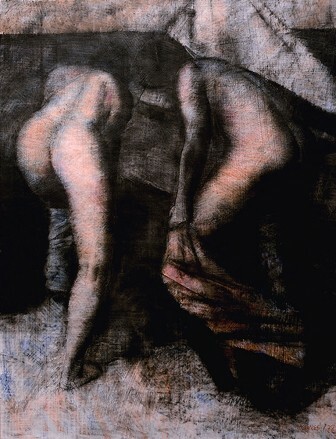 Themes of absence and disappearance are common in works from this period, which often depict overturned chairs and vacant, tousled beds. This painting was once part of the personal collection of Andy Warhol. 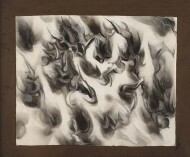 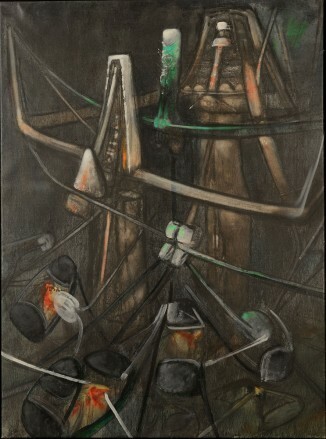 The theme of this work relates to Matta’s preoccupation in the 1950s with the devastating effects of World War II. 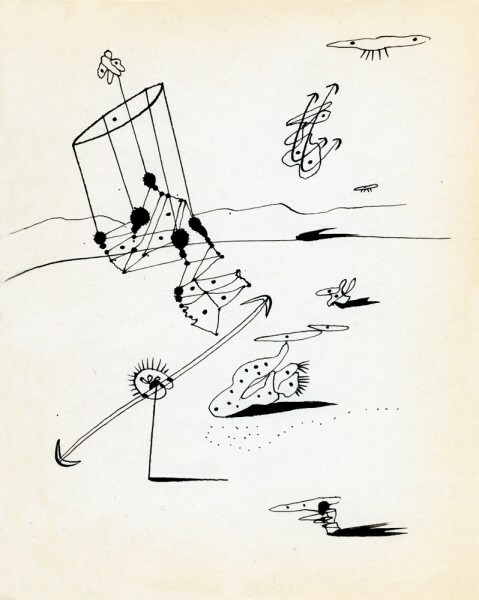 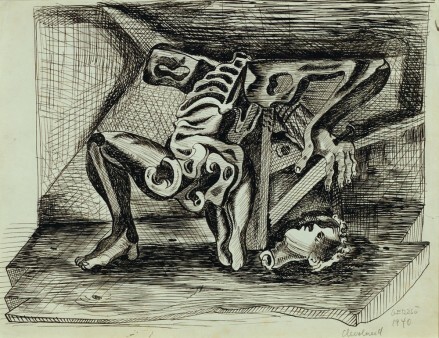 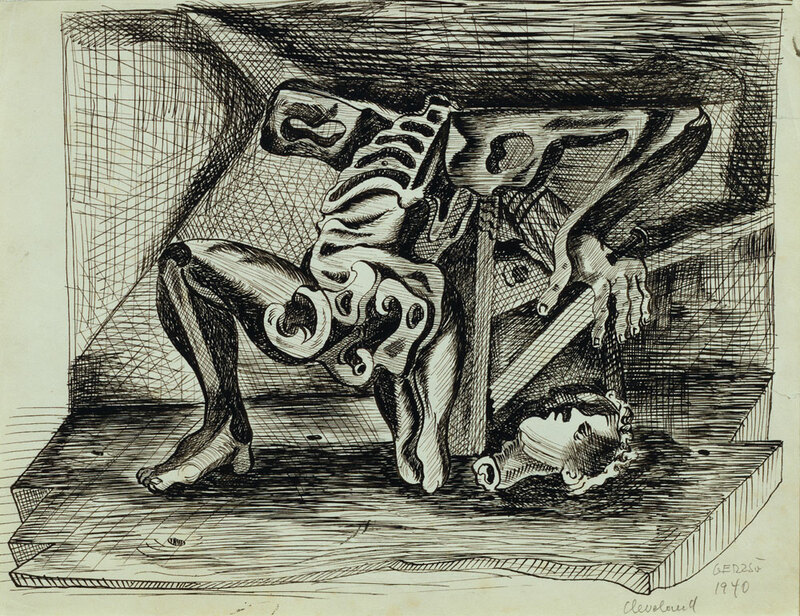 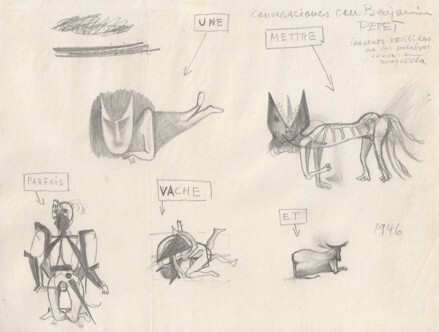 By this time he had broken with the Parisian Surrealist group to investigate how he could tie his approach to Surrealism with his concerns about the atrocities carried out during the War. 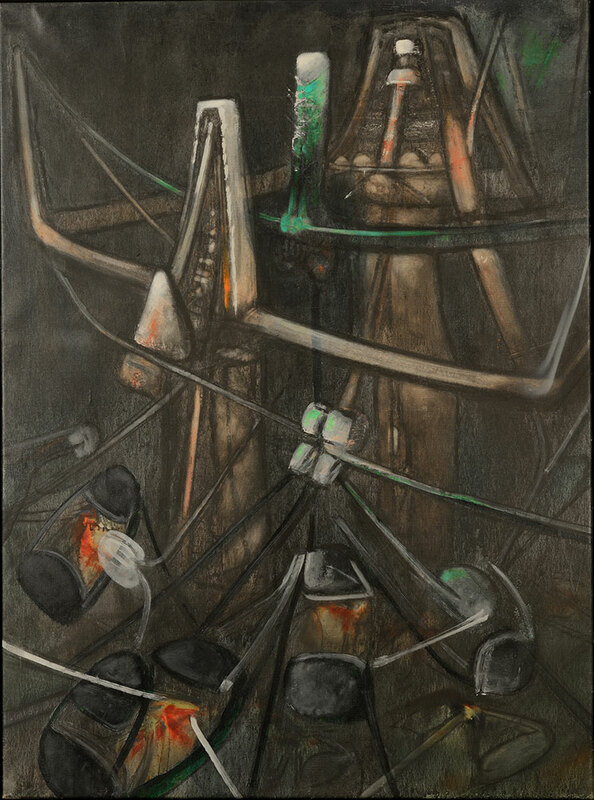 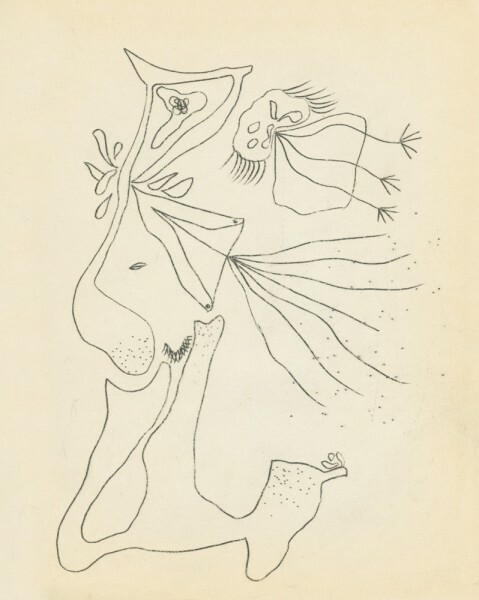 By the early 50s, Matta’s abstract paintings had evolved into ethereal and disturbing worlds populated by tubular humanoids and mythical totemic figures. These monstrous, insect-like beings represent victims of the dehumanizing effects of technology, social injustice, and political corruption. In 1944, Gerzso met Benjamin Péret, the Surrealist Poet and political activist who moved to Mexico from France. 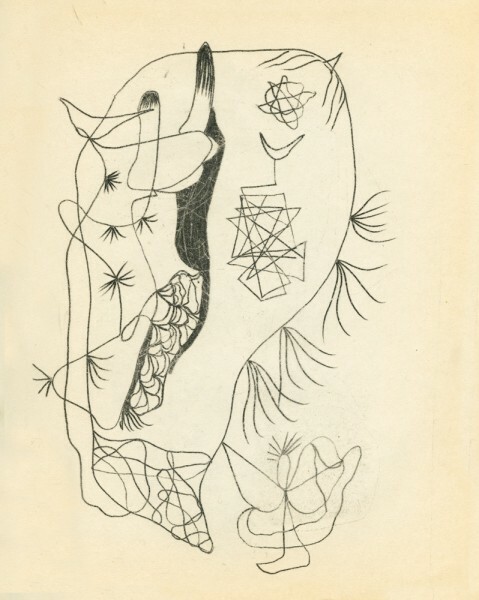 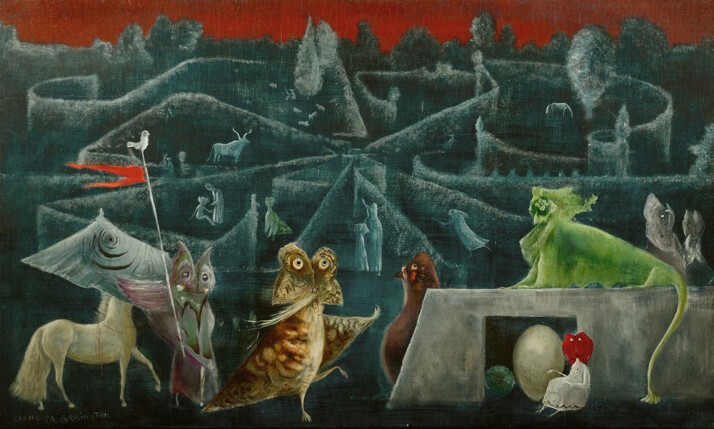 In the 1940s, a number of European artists and writers, including Wolfgang Paalen, Alice Rahon, Max Ernst, Leonora Carrington and Remedios Varo, moved to Mexico to escape the horrors of World War II. 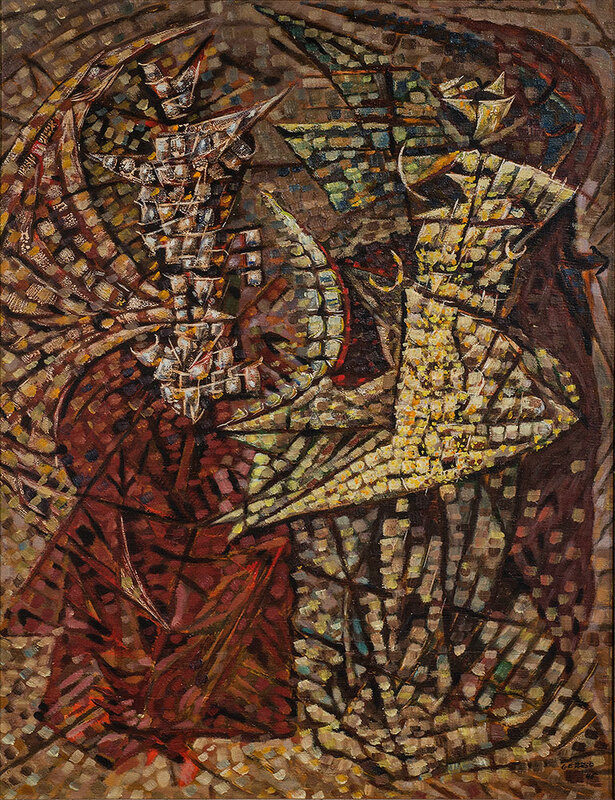 With his European heritage and extensive shared interest with the Surrealists, Gerzso naturally became part of the group. 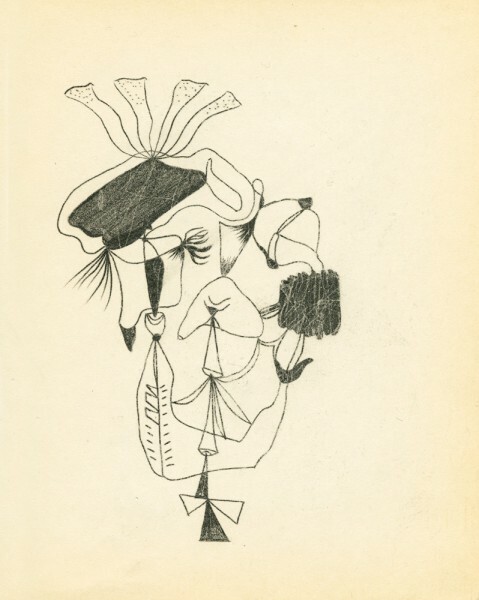 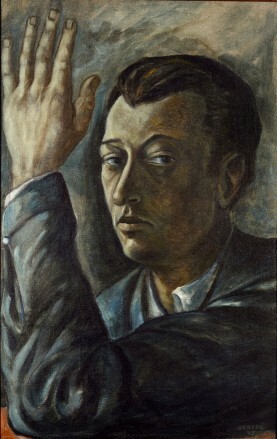 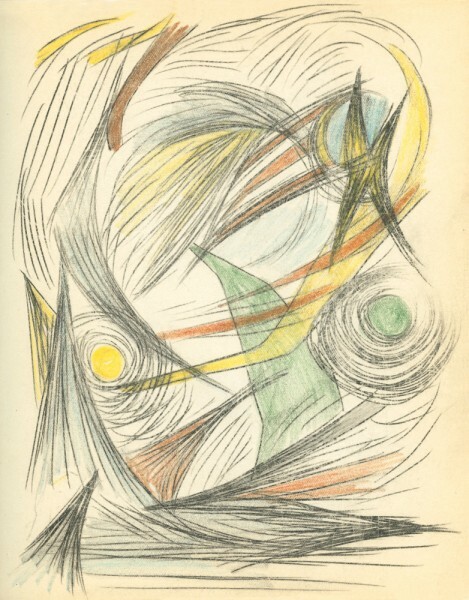 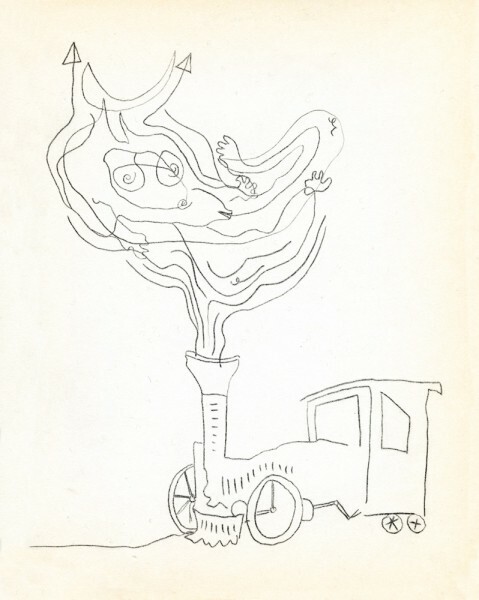 His friendship with Benjamin Péret, who played a leading role in keeping the Surrealists dynamic (in conjunction with André Breton in New York), greatly influenced Gerzso and his early works. 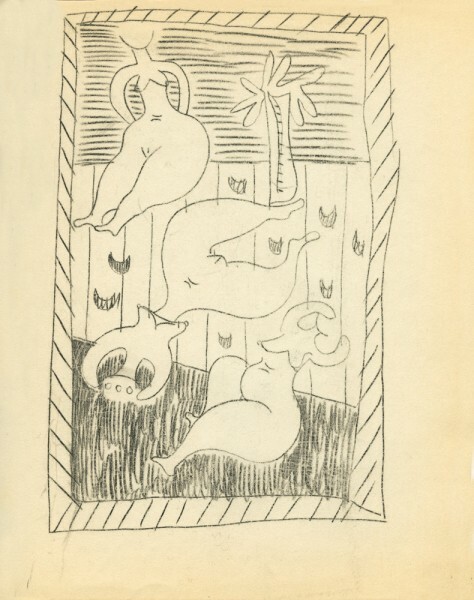 Living in Calle Gabino Barreda, Benjamin Péret regularly invited the Surrealists and Gerzso, who was the only Mexican. 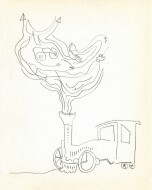 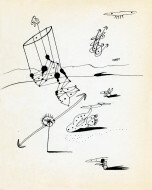 Gerzso was greatly appreciated for his notorious wit and artistic ability. He was also the only one with any money and therefore was the person put in charge of buying the wine for group parties (though Péret insisted on selecting it). 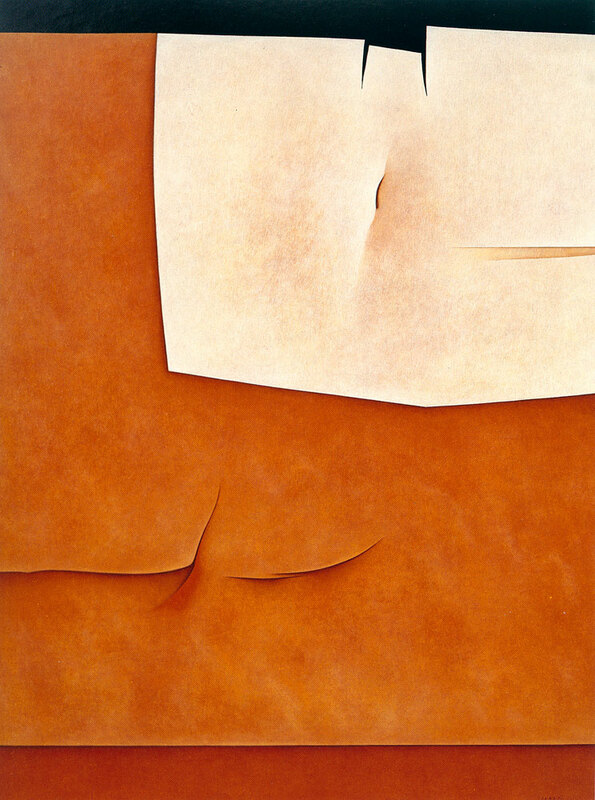 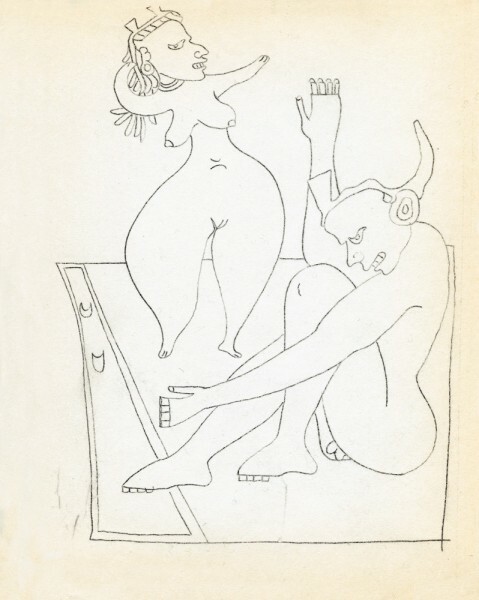 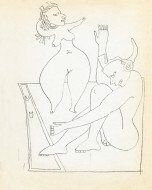 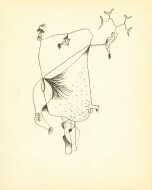 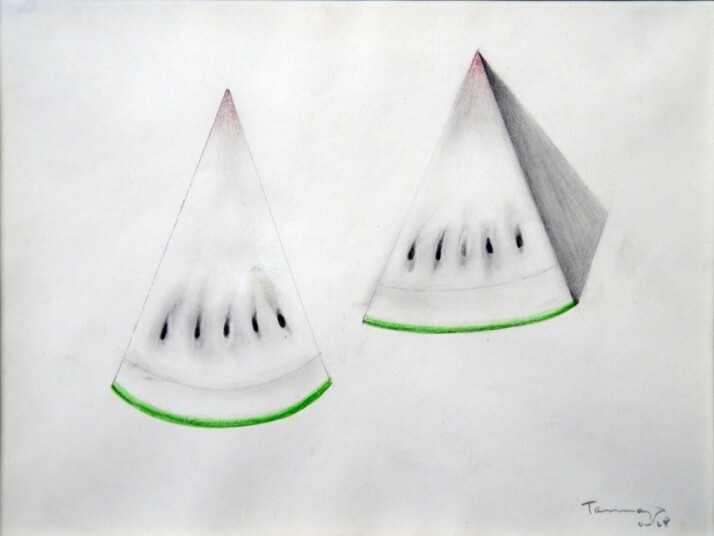 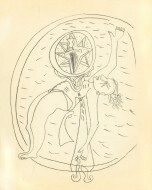 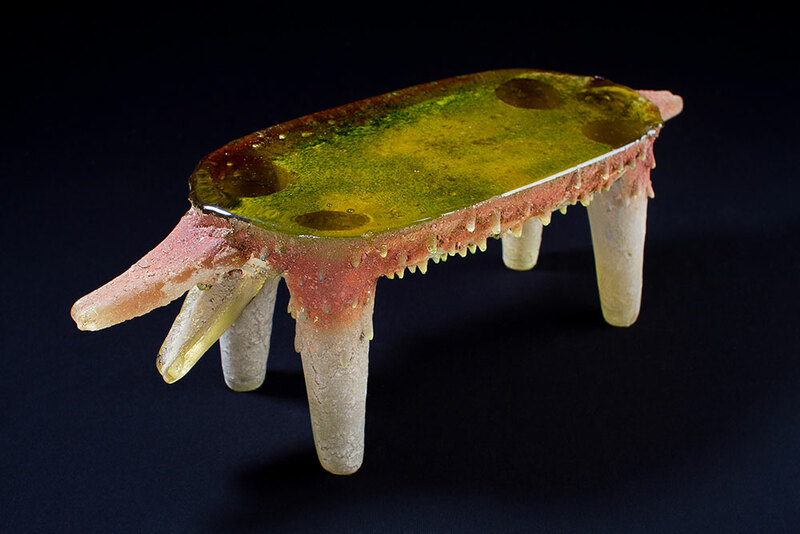 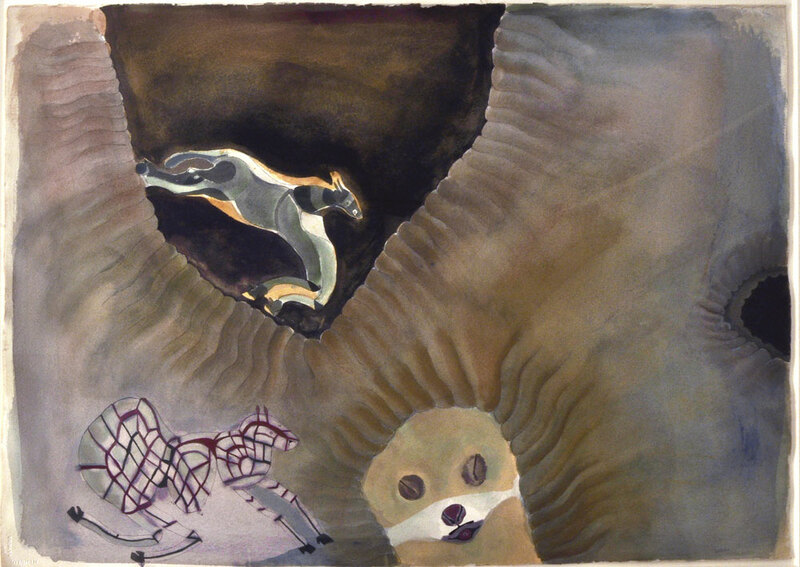 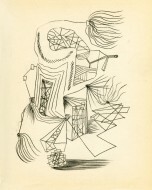 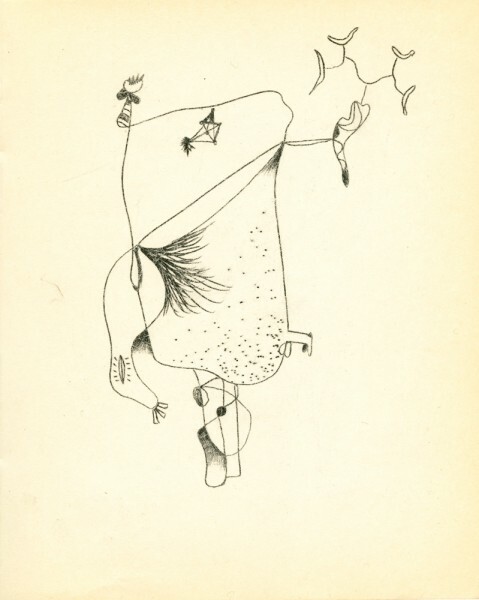 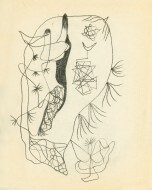 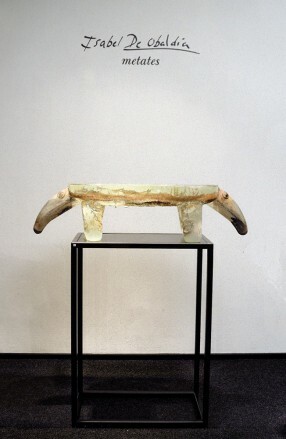 According to Diana Du Pont, curator of Risking the Abstract: Mexican Modernism and the Art of Gunther Gerzso, this work “is a direct quotation from Dalí and is the most clear-cut example from Gerzso’s early oeuvre of his immersion in the methods and Freudian-inspired theories of European Surrealism. 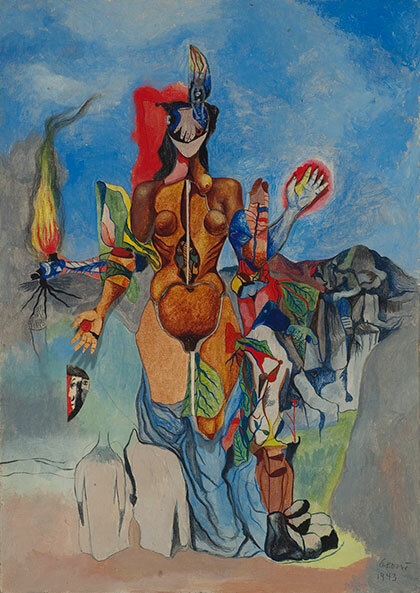 It is based on Dalí’s Gradiva, 1931, which was reproduced in René Crevel’s publication Dalí ou l’anti-obscurantisme (1931), a copy of which Gerzso owned.” Gradiva was a fictional character conceived by Wilhelm Jensen, and adopted by Dalí as a representation of his wife Gala, both muse and femme fatale. 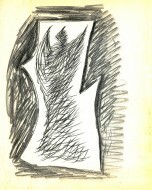 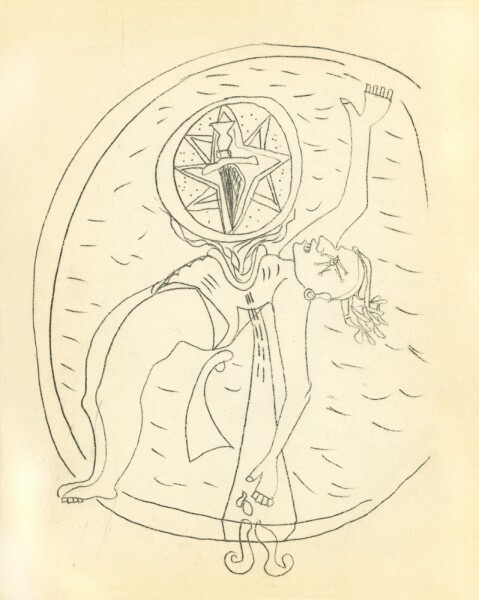 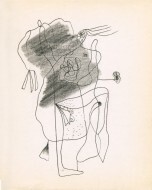 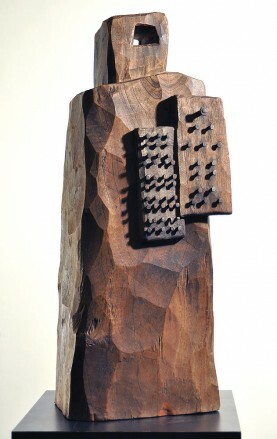 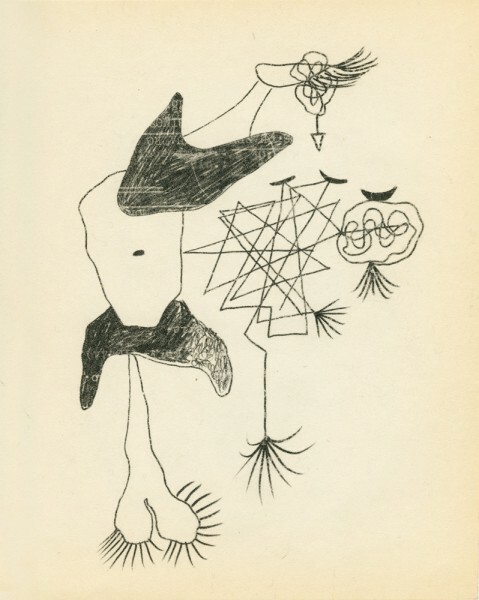 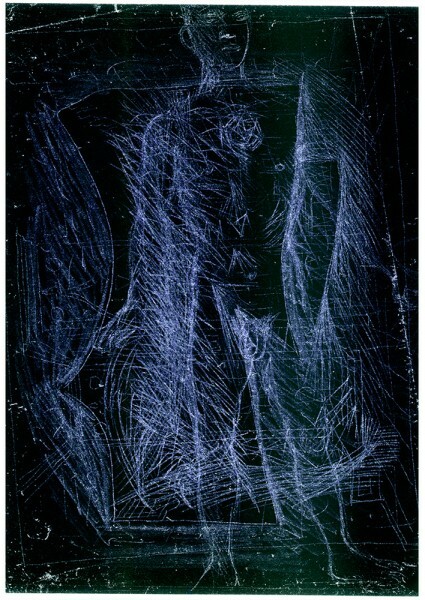 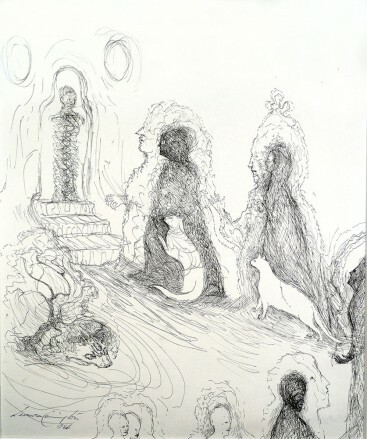 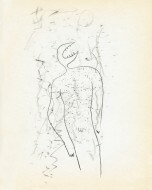 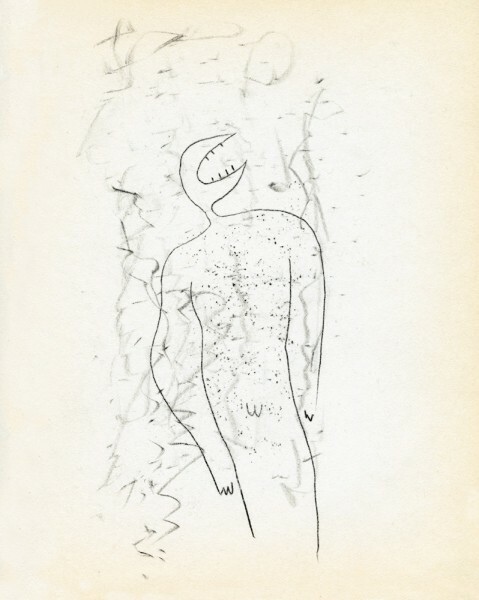 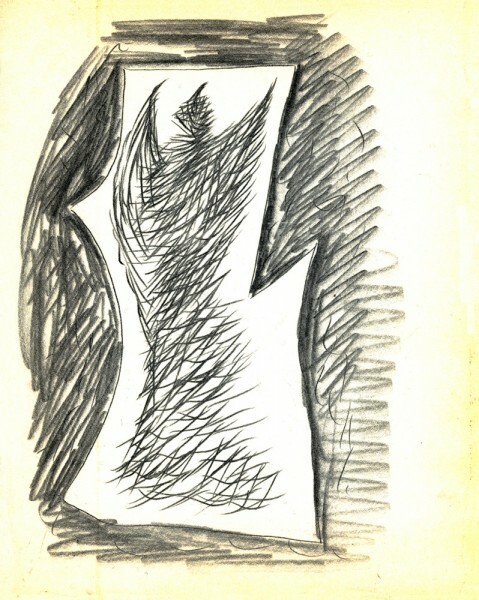 In this work, Gerzso drew and collaged his own version of this figure. 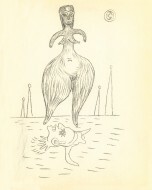 In the sketch Aigle (“eagle” in French), Gerzso skillfully illustrates how a word can be converted into a surrealist bestiary figure. 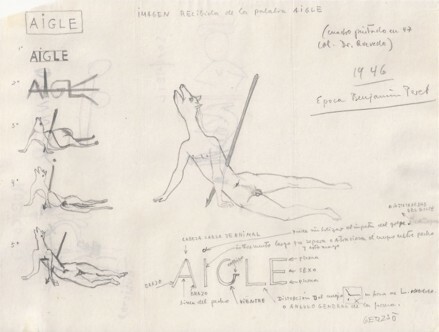 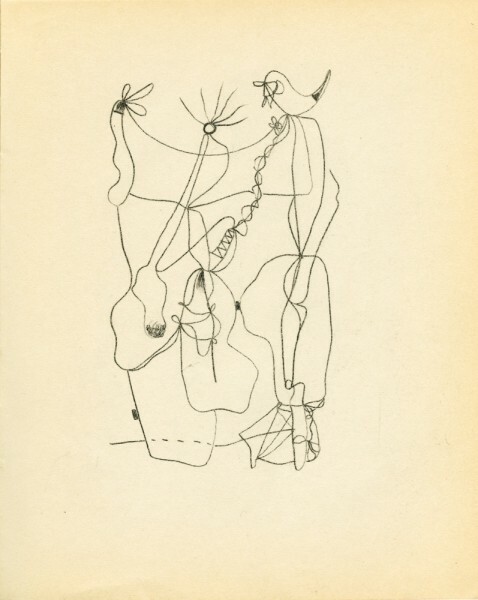 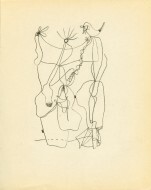 Comments documenting the artist’s mental process visually guide us through the study for his painting Aigle, 1947. 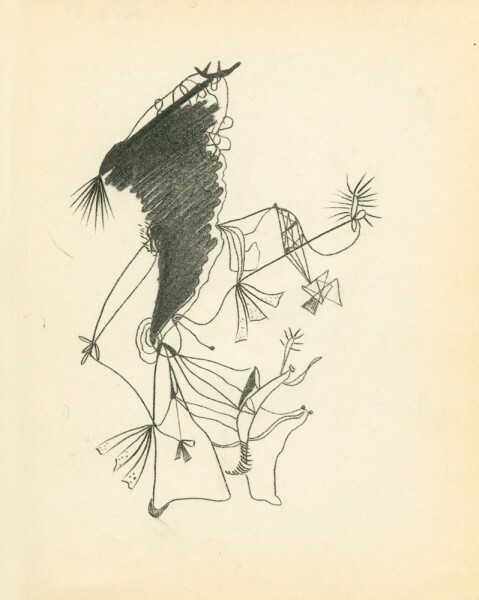 The word eagle could be interpreted as “Surrealist time flies the way a bird does – with swoops and halts, soaring and gliding speedily in fits and starts; it does not follow the exact intervals typical of a Western clock” (Katharin Conley, Surrealist Ghostliness, 2013). 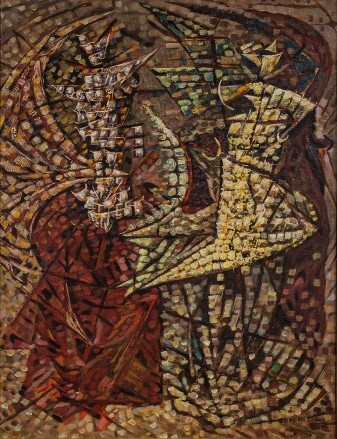 This work belonged to the artist’s wife, Gene Gerzso, from the day it was made. 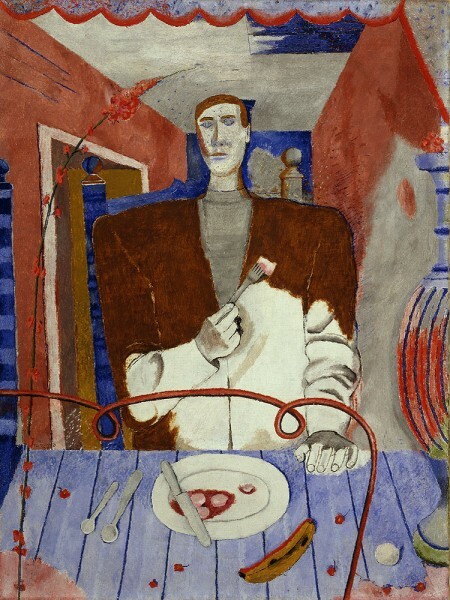 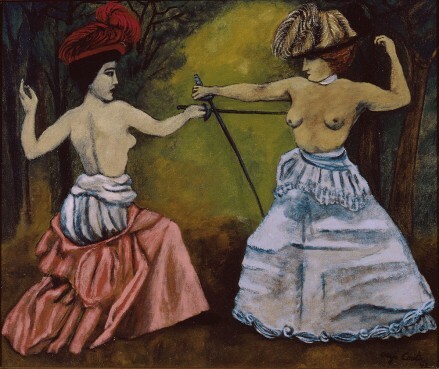 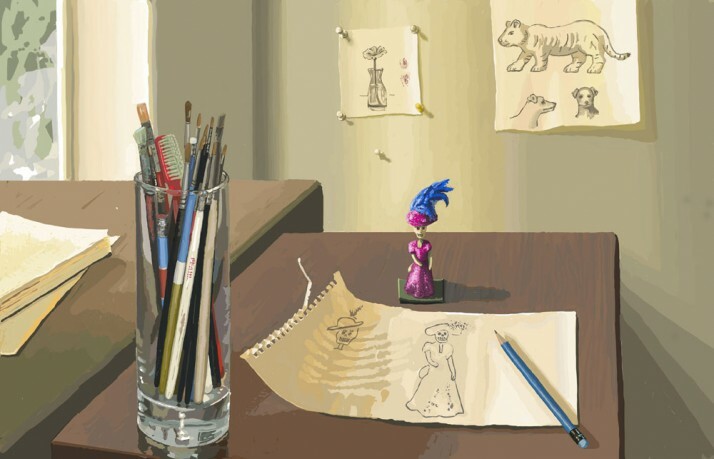 When Gerzso finished the painting Gene said that she loved it and Gerzso said he would give it to her. 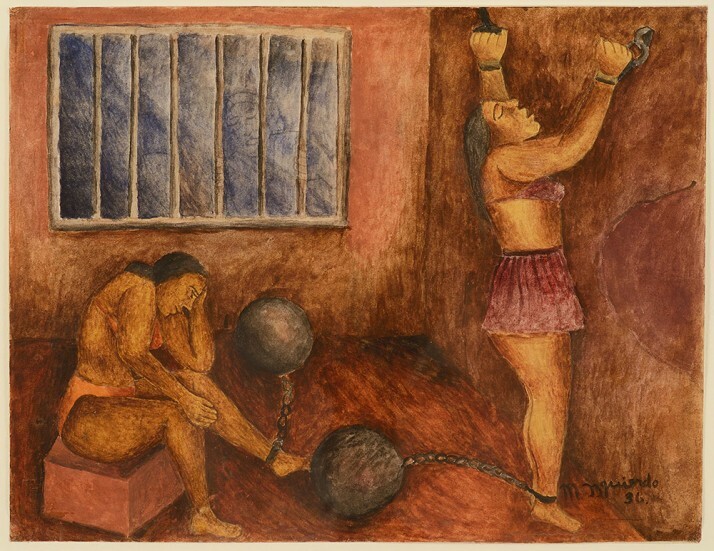 She declined, saying that she would rather purchase the painting from him, so that there would never be a risk that a collector would come to their home and pressure him into selling it. He could always say it didn’t belong to him, that it belonged to his wife, and it was not his to sell. 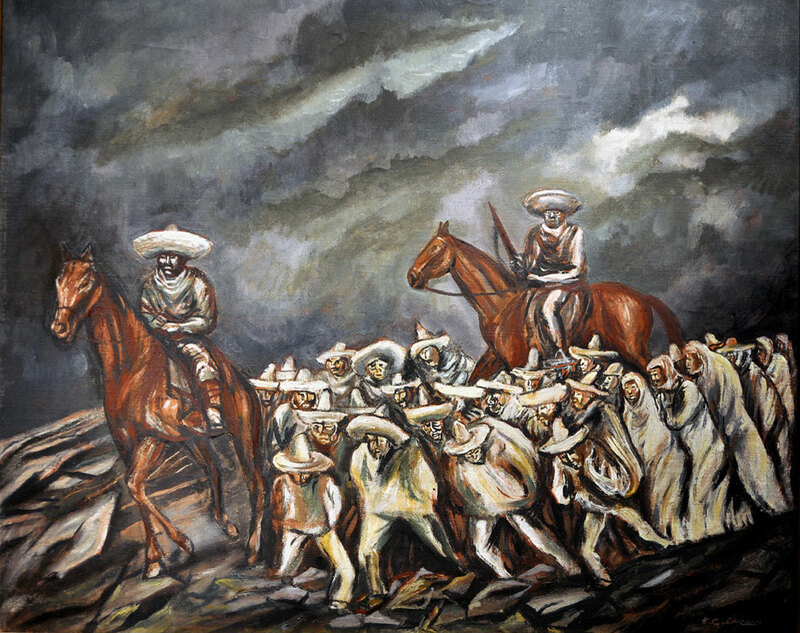 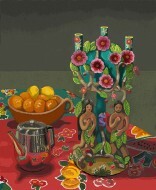 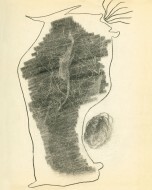 In every exhibition it is listed as “Collection of Gene Cady Gerzso, Mexico City.” In the retrospective show that was organized by the Santa Barbara Museum of art, not only is the work illustrated full page in the catalogue, but there is a photograph on p.110 of the painting hanging in the Gerzsos’ living room. 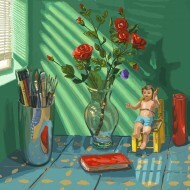 Indeed Gene outlived Gunther and the painting stayed with her for 51 years. Luz Jiménez was an Aztec Indian who modeled at the art school in Coyoacán, Mexico, in the 1920s. 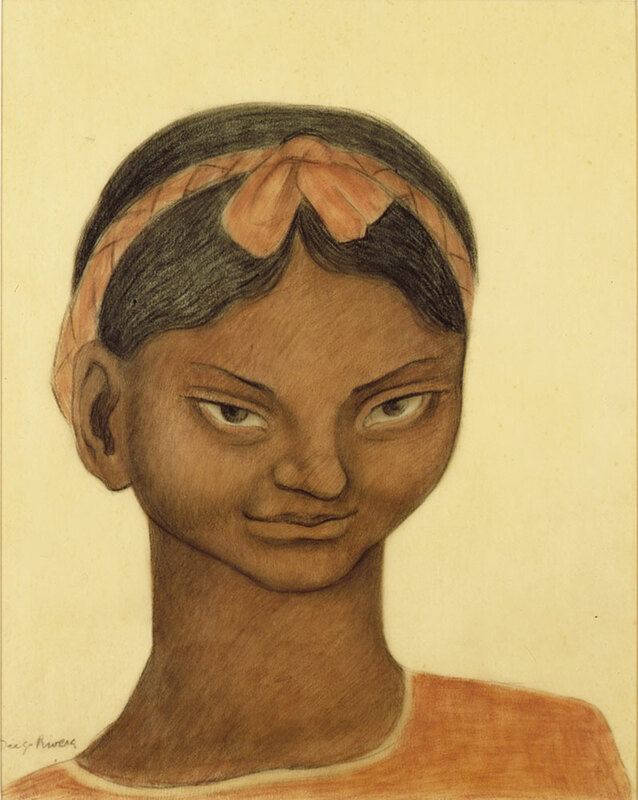 She was recommended to Jean Charlot by Diego Rivera, who had featured Luz in many of his murals. 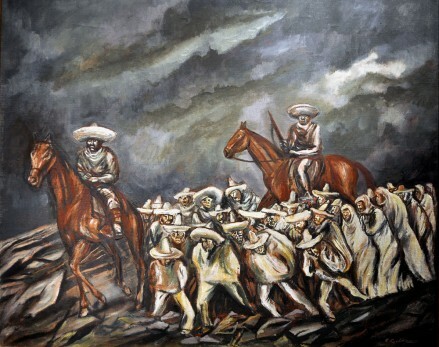 During the 20s, 30s and 40s Luz was painted and photographed not only by Charlot and Rivera but also by Siqueiros, Orozco, Tamayo, Fernando Leal, Tina Modotti and Edward Weston. 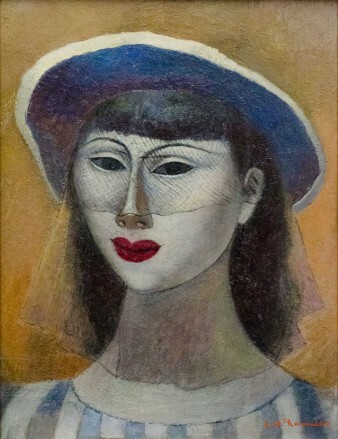 She appears in Rivera’s first mural in Mexico City (Creation,1922) and in Tamayo’s frescoes at the National Conservatory of Music in Mexico City. 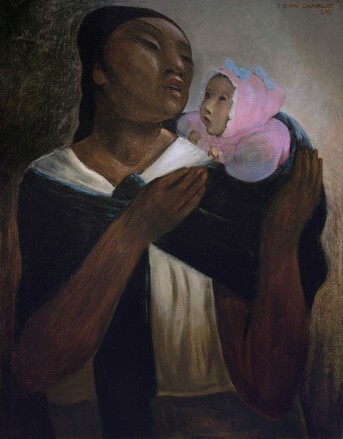 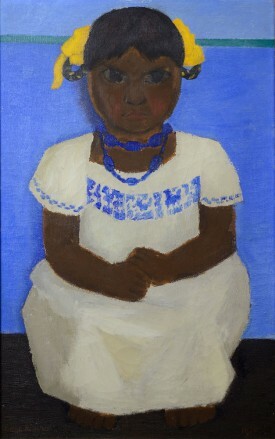 In our painting of 1925, Luz holds a child, possibly one of her charges. Charlot hired Luz to work for him whenever he could afford to. Besides caring for his children Luz taught Charlot to speak the Nahuatl language and invited him to accompany her to Aztec events usually closed to foreigners, such as the annual Indian pilgrimage to the sacred cave of Chalma. 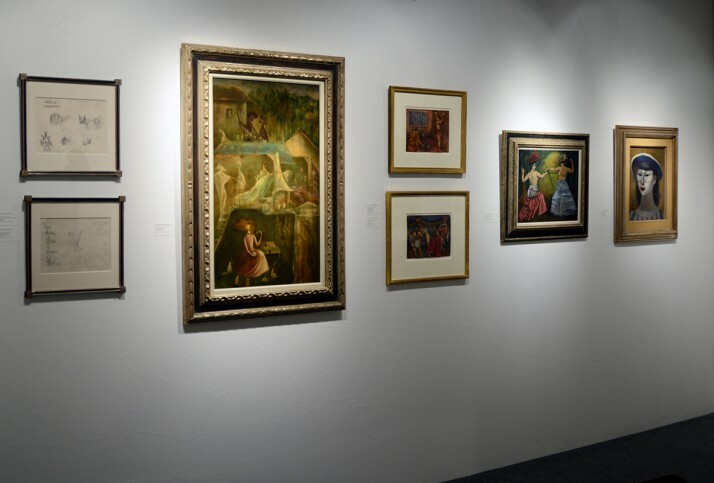 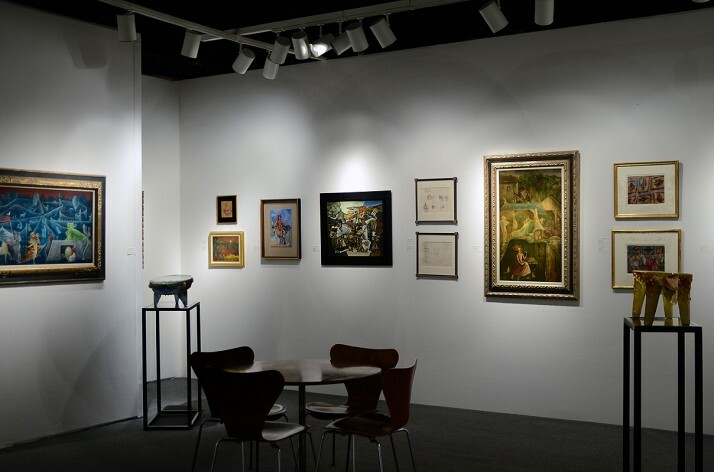 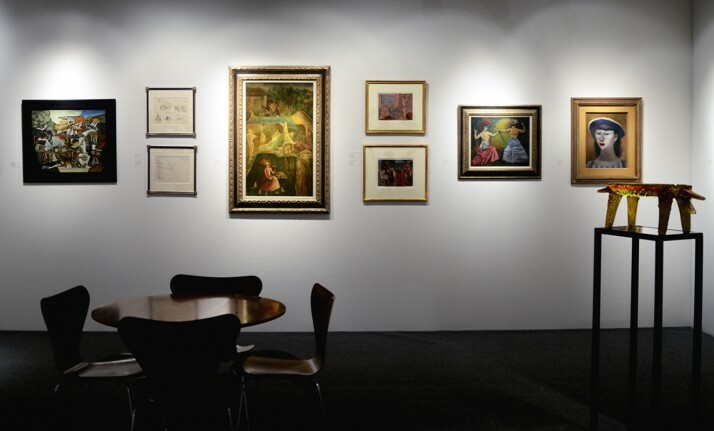 Please visit Mary-Anne Martin Fine Art at The Art Show put on by the Art Dealers Association of America at the Park Avenue Armory from March 5-9, 2013. 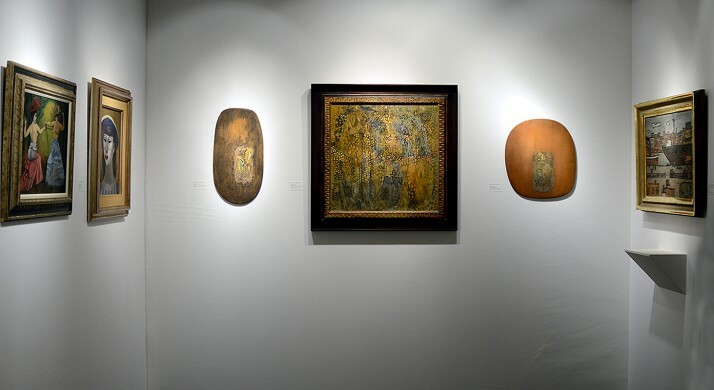 The following is a selection of works that will be exhibited in MAMFA booth C2 at the fair. 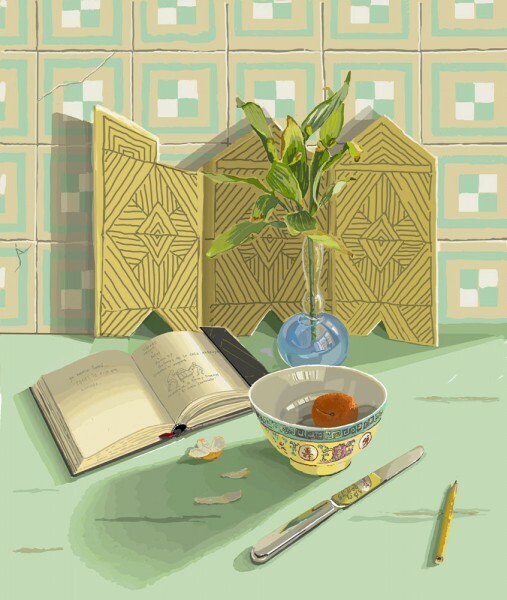 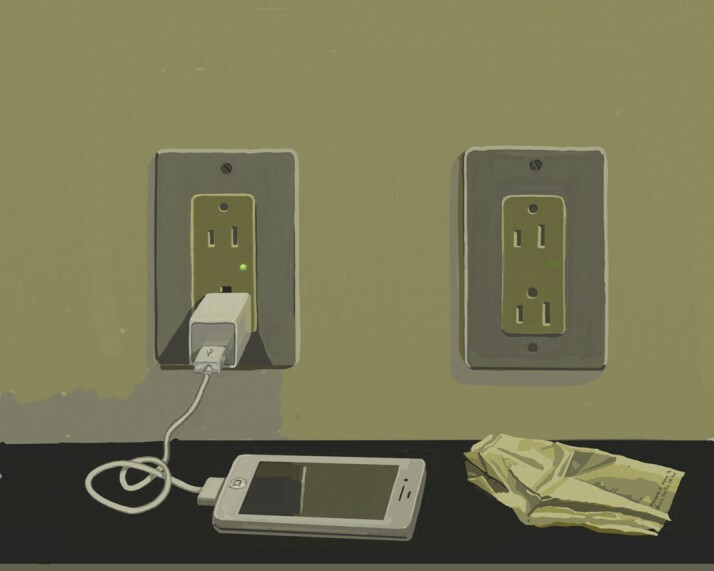 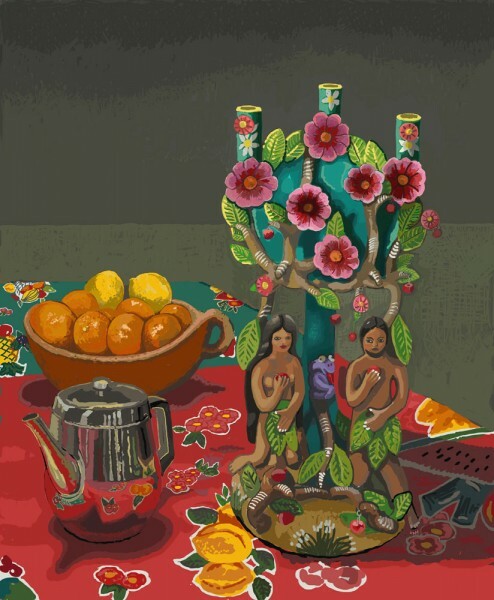 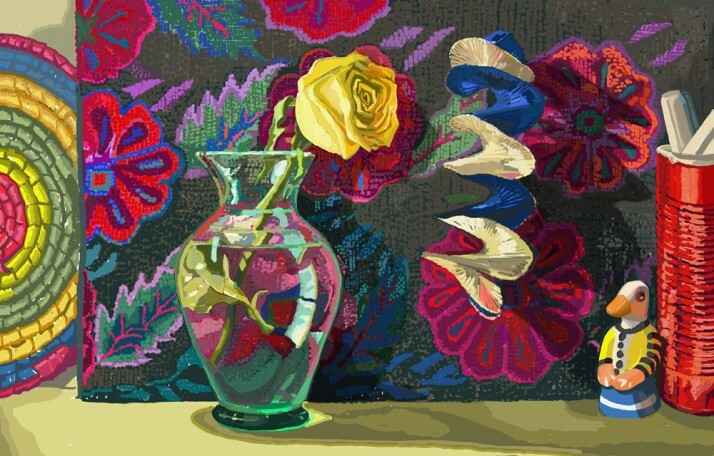 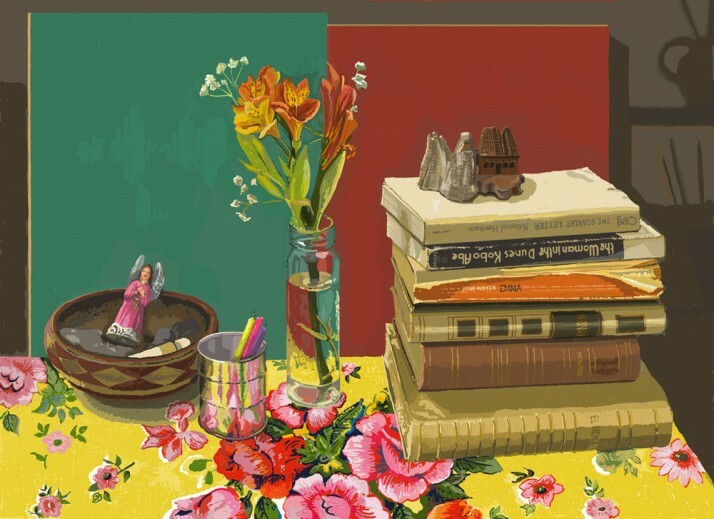 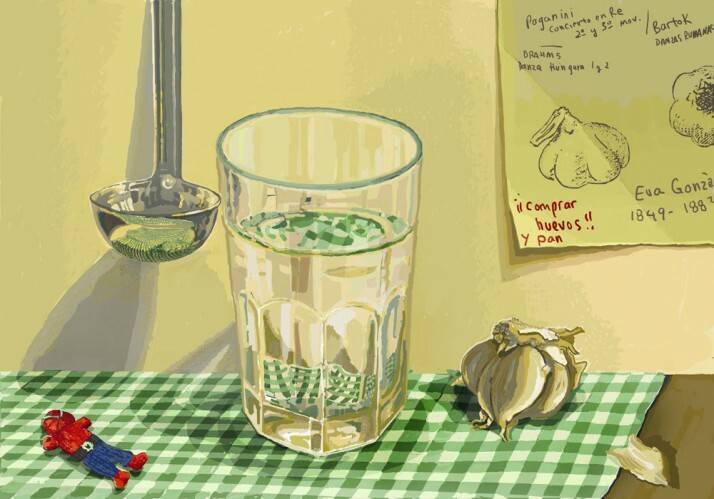 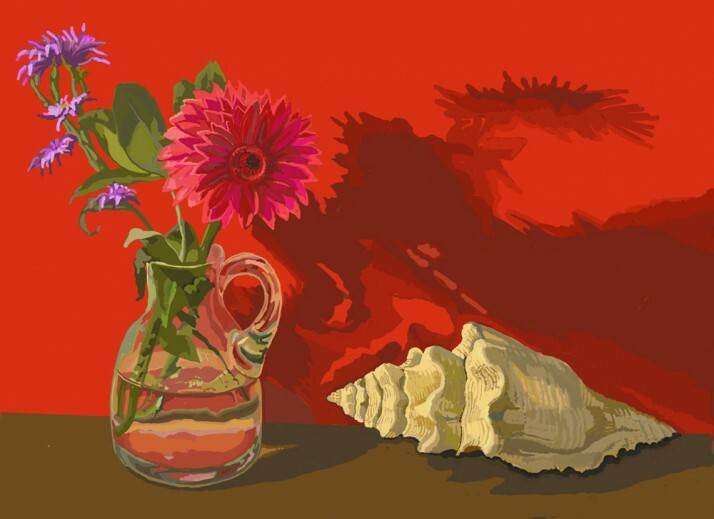 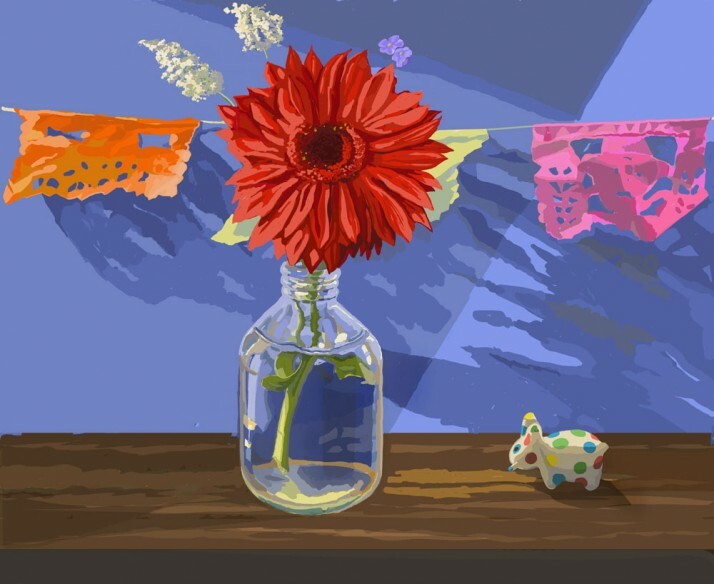 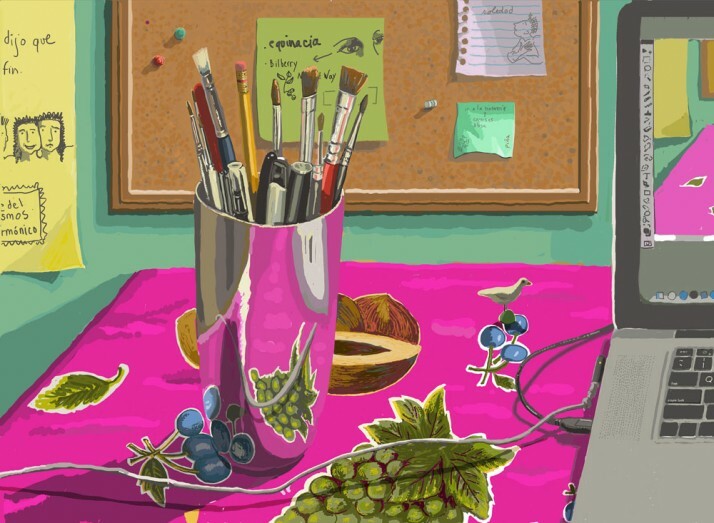 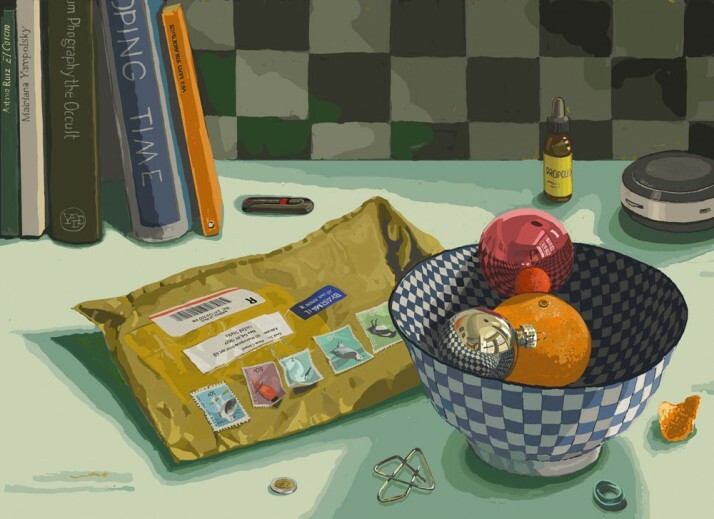 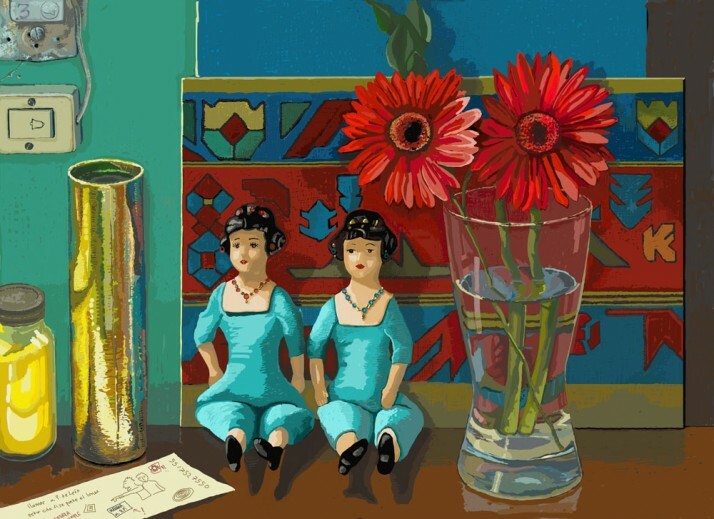 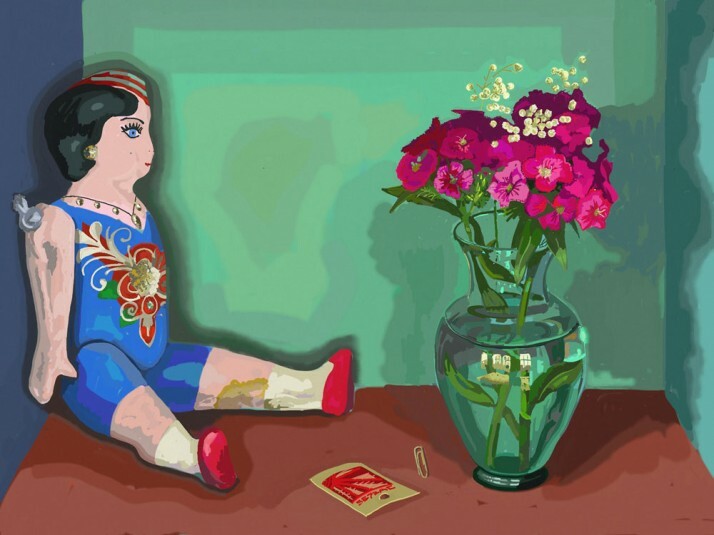 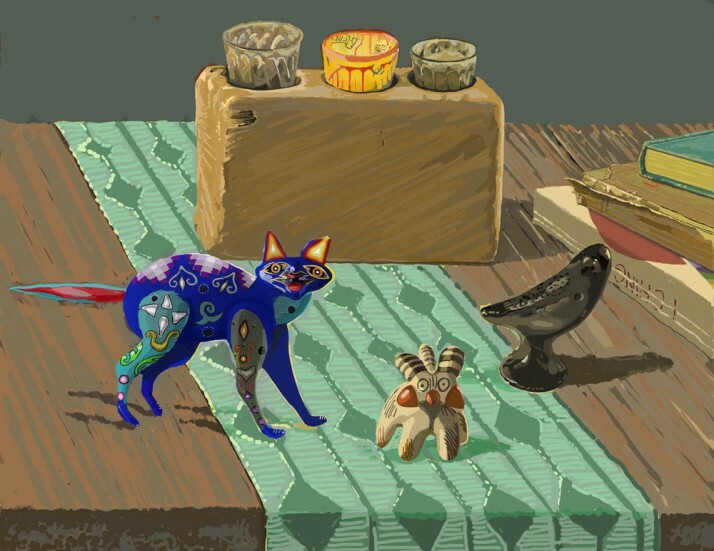 As part of Master Drawings New York 2014, Mary-Anne Martin Fine Art will present 20 digital drawings created on the iPad by Mexican painter and muralist Elena Climent. Output as giclée prints, the works will be mounted side by side with actual iPads showing the step-by-step progression of the drawings from first outline to completed work. 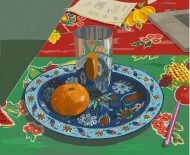 Climent, who is interested in the link between traditional methods of drawing and electronic drawing in the 21st Century, compares the ability of the iPad “Zoom” feature to show details not visible to the naked eye with Vermeer’s use of the camera obscura to investigate tiny visual details he later included in his paintings – details that can only be seen using a magnifying glass. 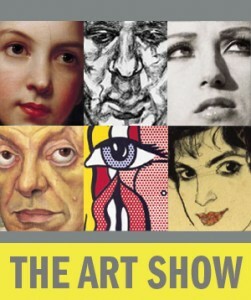 There will be an opening reception at the gallery on January 24 from 4:00-8:00. 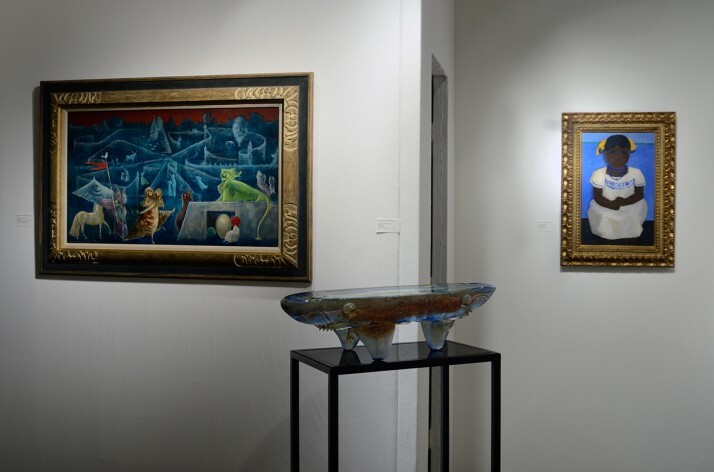 The exhibition continues through Friday February 21, 2014. Please call for hours. 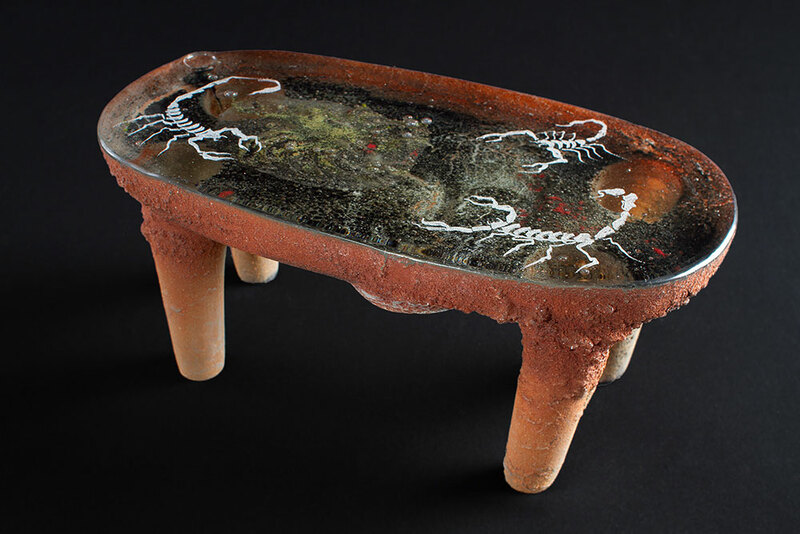 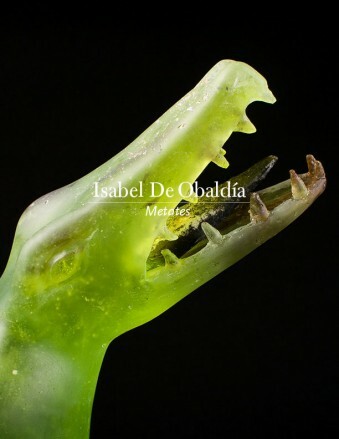 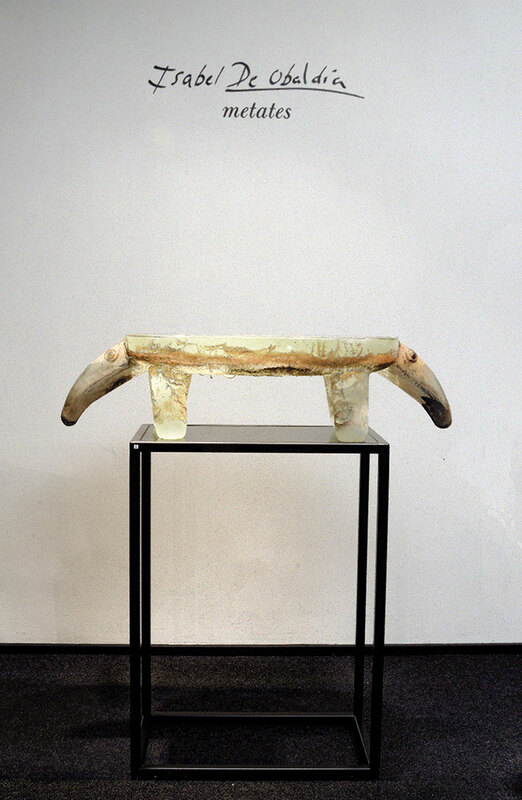 The online catalogue for Isabel De Obaldía: Metates is now available. The fully illustrated catalogue includes an introductory essay by Lowery Stokes Sims, curator of the Museum of Arts and Design, NY, and a scholarly article by Dicey Taylor titled, The Ancient Metates of Panama. 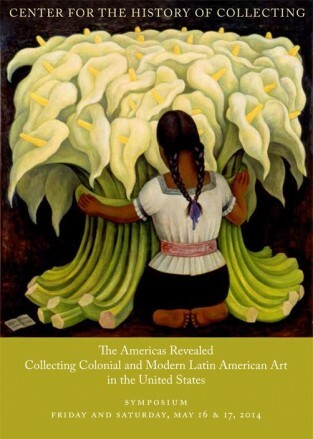 Print versions of the catalogue will be available at the gallery starting November 15, 2013. 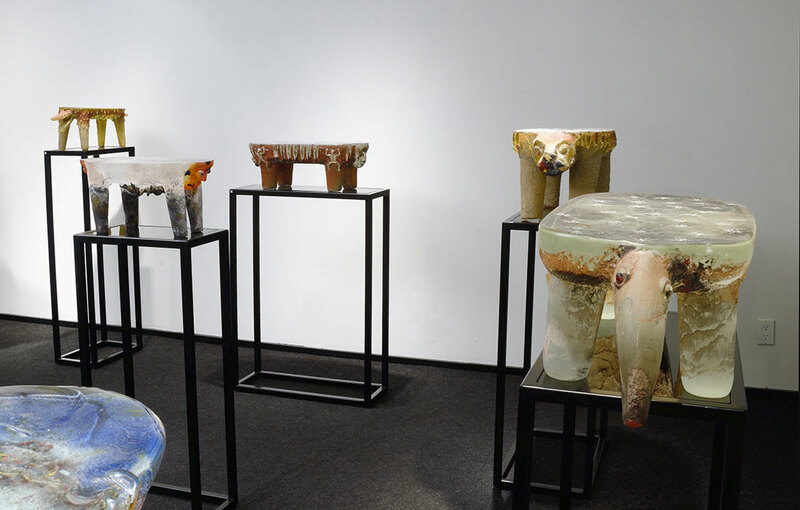 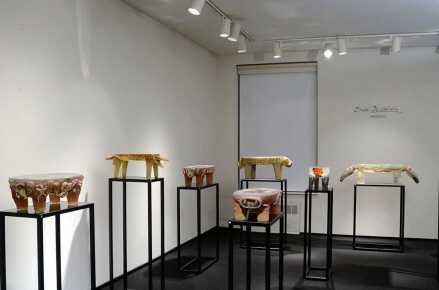 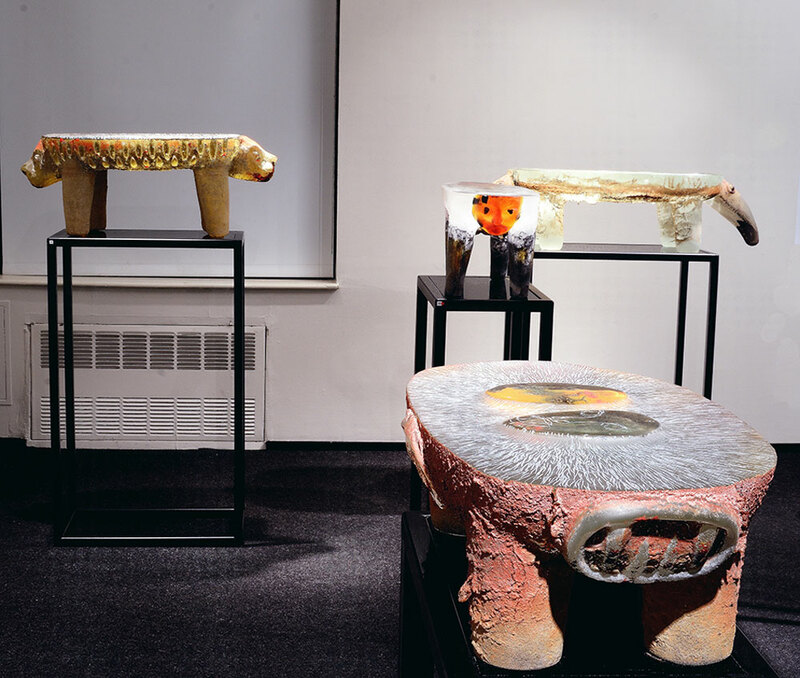 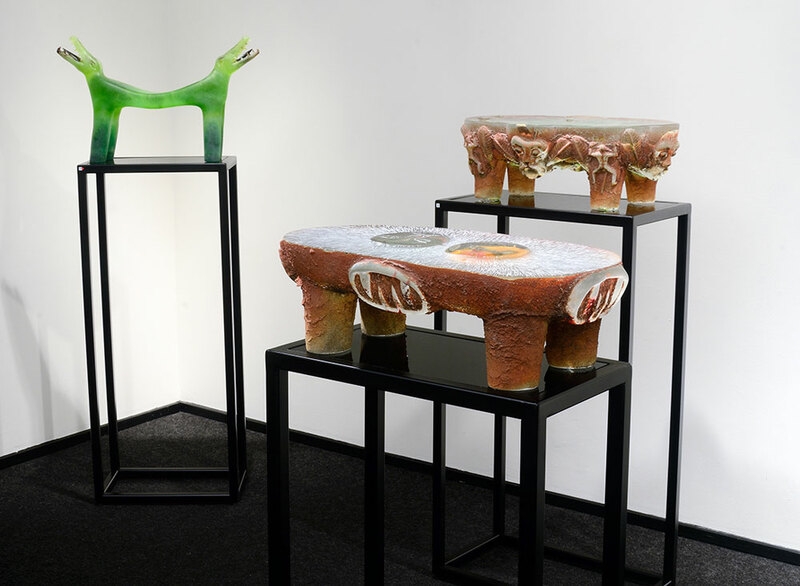 For this exhibition the artist has created 13 new sculptures based on Pre-Columbian prototypes. The show will be accompanied by an illustrated catalogue with an introductory essay by Lowery Stokes Sims, curator of the Museum of Arts and Design, NY, and a scholarly article by Dicey Taylor titled, The Ancient Metates of Panama. 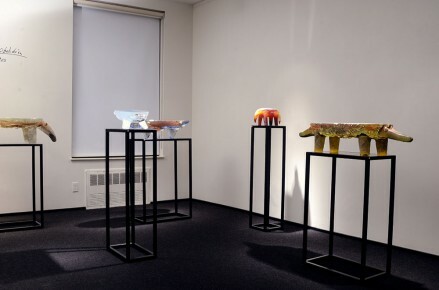 This is De Obaldía’s sixth solo exhibition at Mary-Anne Martin Fine Art. 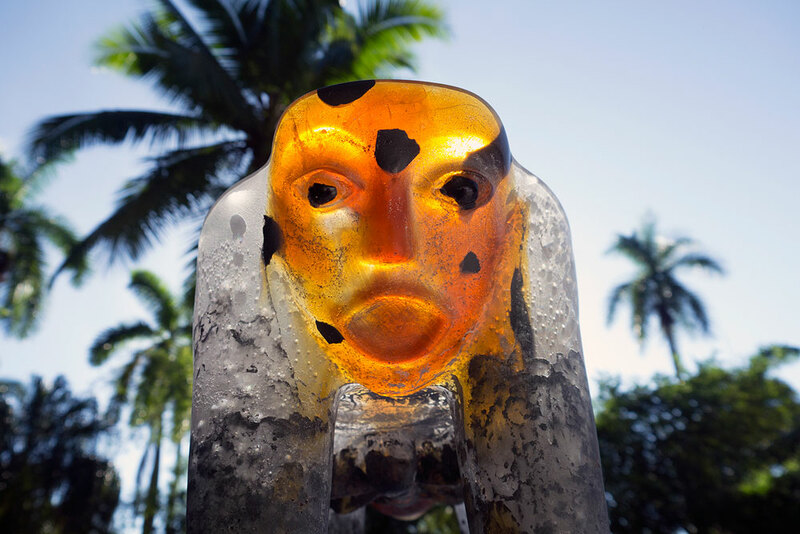 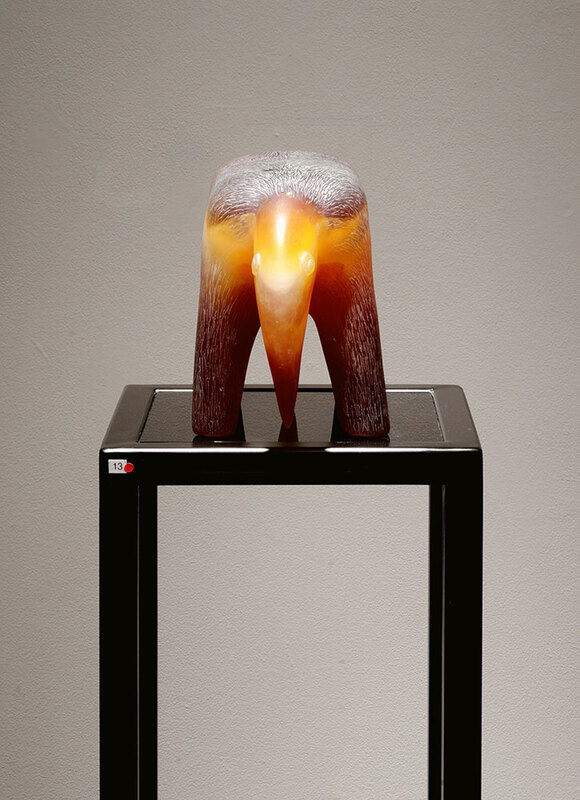 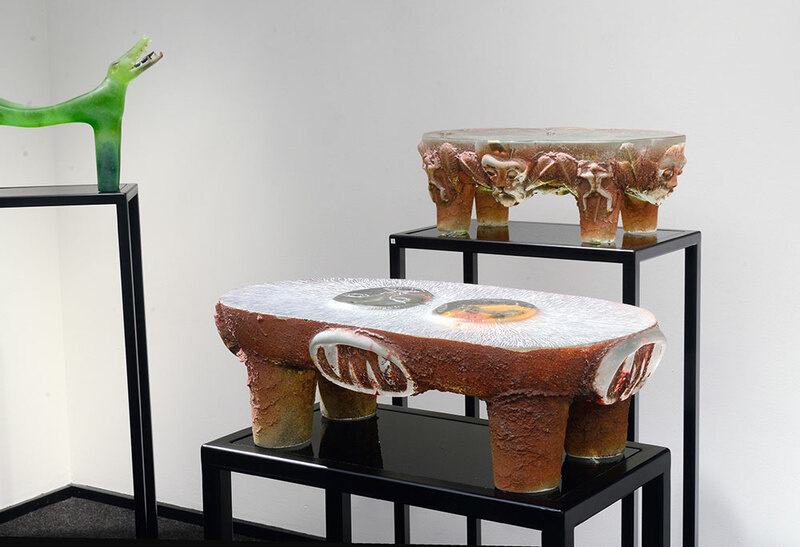 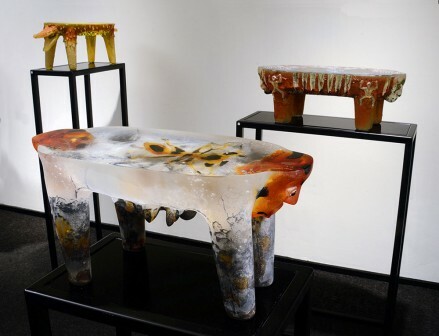 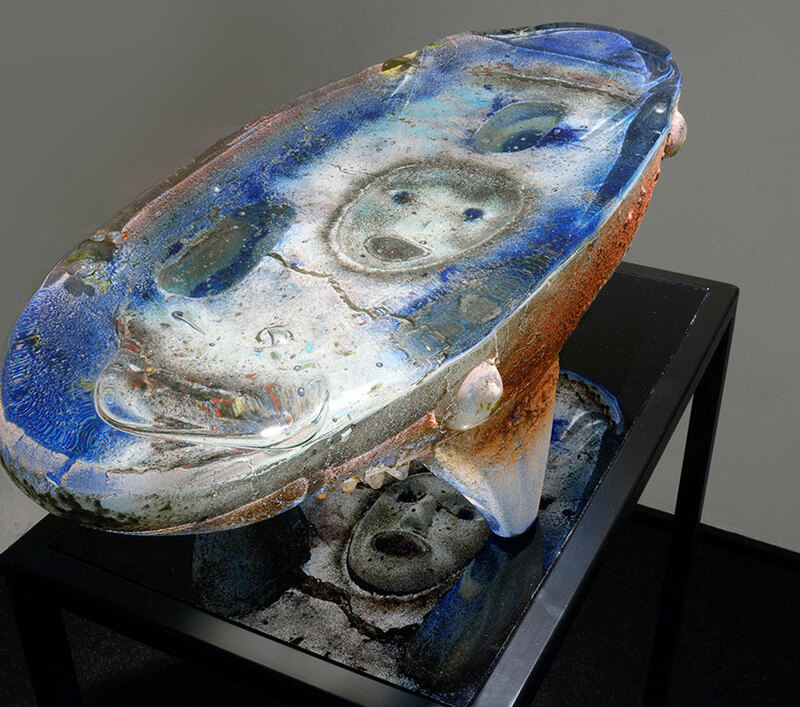 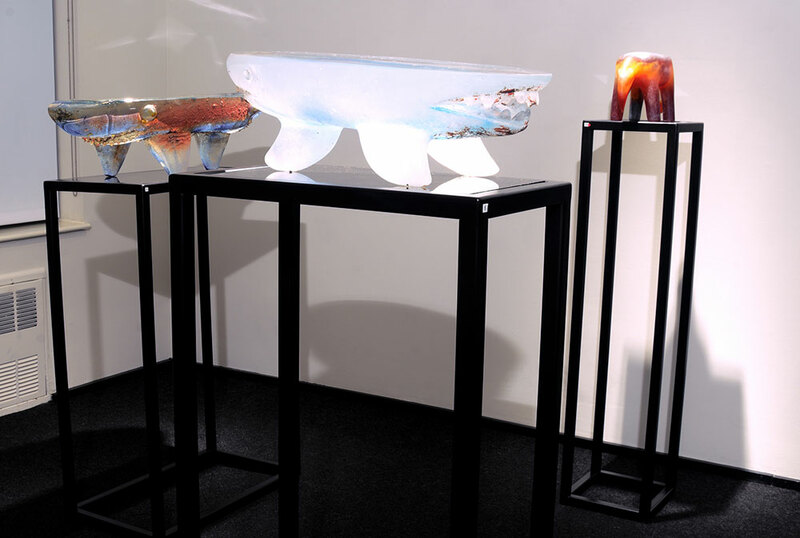 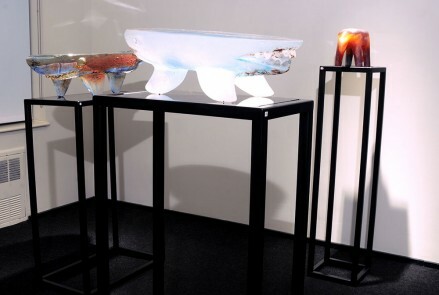 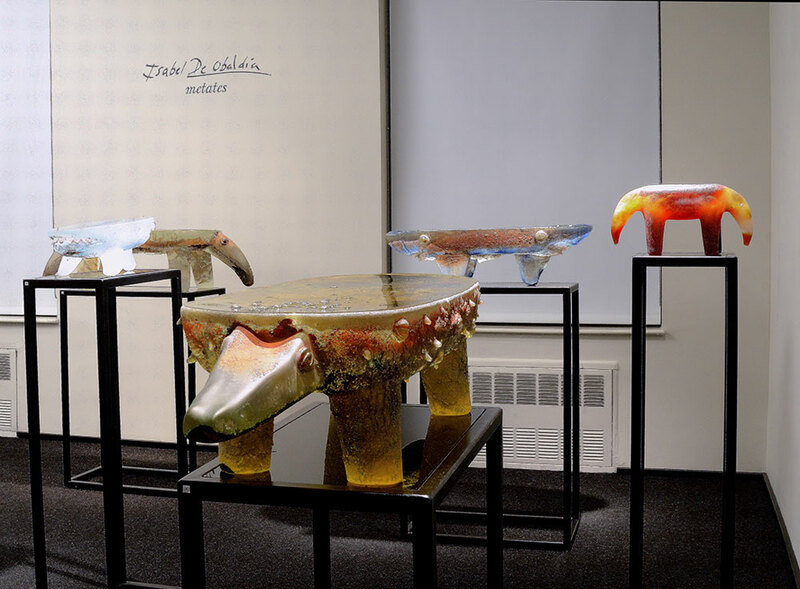 In 2009 the artist was awarded the Rakow Commission from the Corning Museum of Glass and in 2011 she was the subject of a retrospective exhibition at the Museum of Art Fort Lauderdale. Please contact kdeane@mamfa.com or mamartin@mamfa.com with any questions. 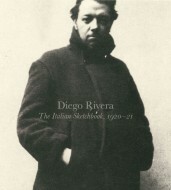 To accompany the current exhibition, Diego Rivera: The Italian Sketchbook, 1920-21, the gallery has published an online catalogue available for viewing here. 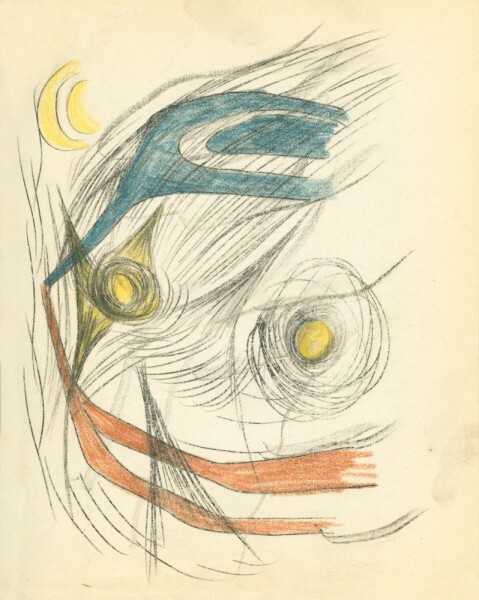 The catalogue features high resolution images of individual sketchbook pages, historical photographs, and commentary and annotations by Rivera’s friend and fellow artist, Jean Charlot. 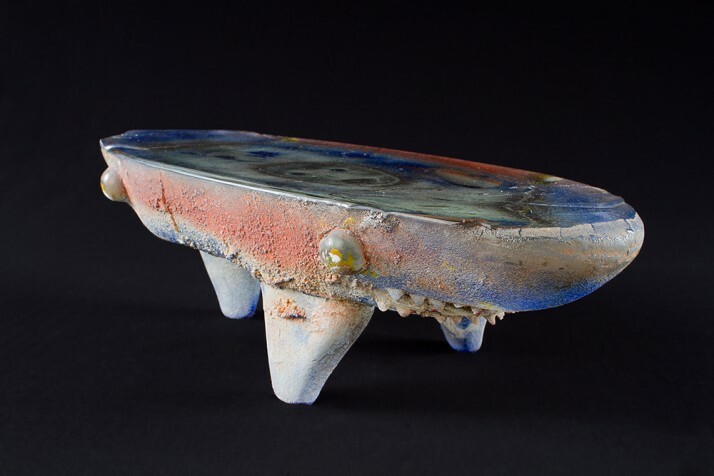 This short film documents the preliminary stages of the artist’s process for creating a group of large sand cast glass metates made at Wheaton Arts in Millville, NJ. 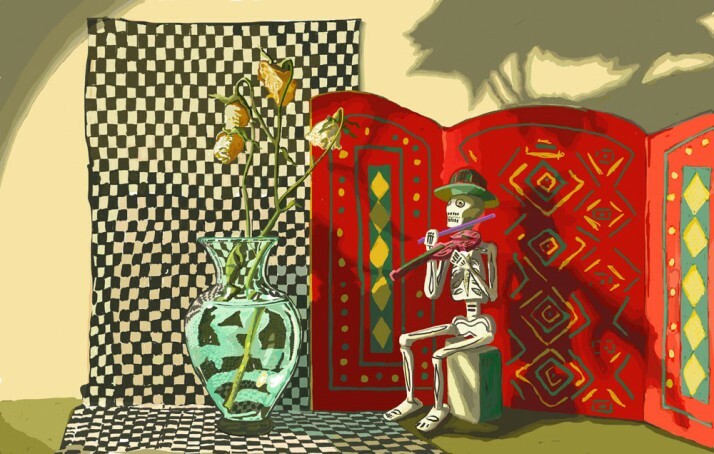 Film and original music by Pedro Joaquin Icaza.